This section is updated on a weekly basis and includes selected fine items. Our normal discounts apply on top of these discounted prices so up to 20% will be taken off the original price. For a list of the latest items to be listed on our site, click here. Please remember that we do offer staged / monthly payments on any of these items if required! SG. 219 a. MB5. M5 (1). 1d scarlet. 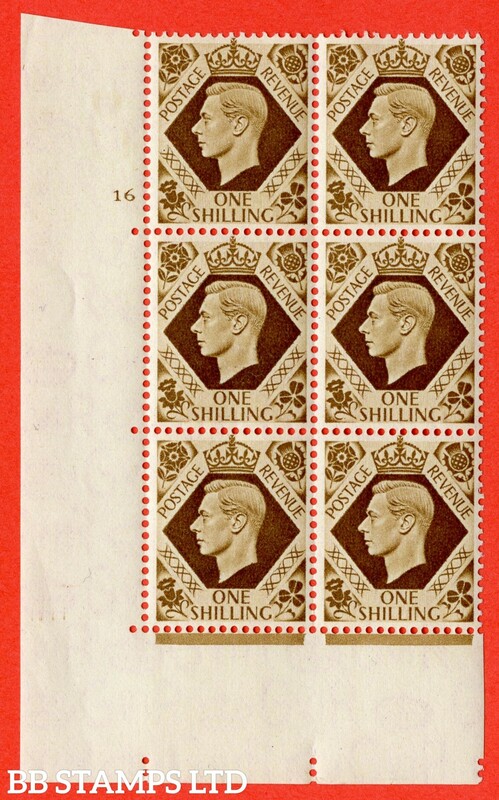 A super UNMOUNTED MINT complete booklet pane. Perf type " P ". SG. 231. M16 (3). 2½d pale ultramarine. 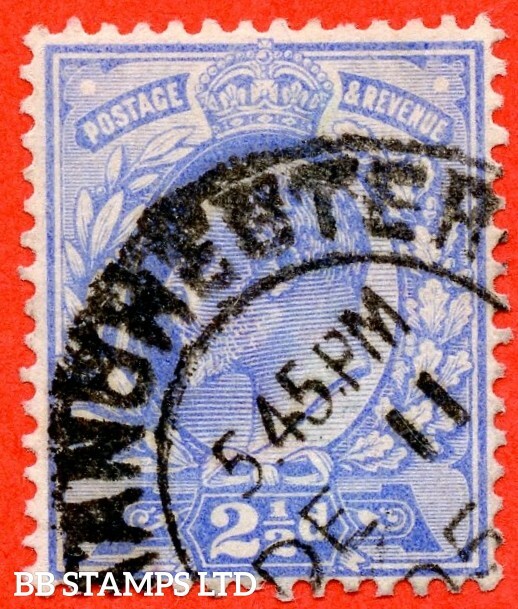 A fine " December 11th 1905 MANCHESTER " CDS used example with the scarce " Wattses " underprint reading upwards. SG. 266 s. M55 s. £1.00 dull blue - green. 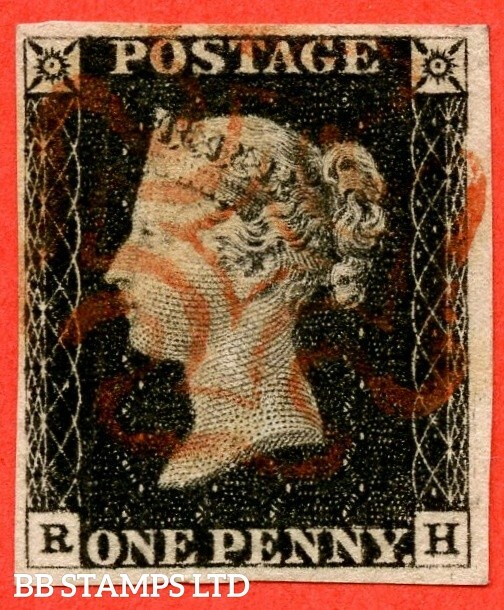 A fine mounted mint example overprinted SPECIMEN type 16. SG. 266. M55. £1.00 Dull blue - green. A fine used example. SG. 270 a wi. M3 (2) a. MB4. ½d dull green. INVERTED WATERMARK. 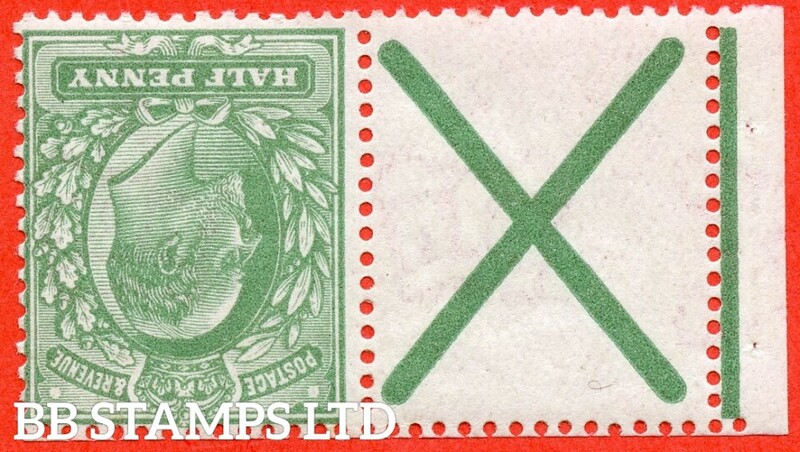 A superb UNMOUNTED MINT example with St. Andrew's cross label attached. SG. 270 awi. M3 (2)a. MB4a. ½d dull green. INVERTED WATERMARK. 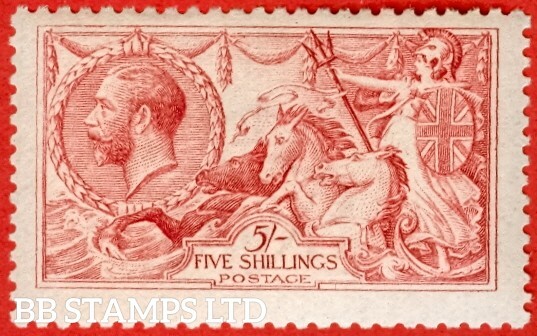 A very fine mounted mint example with St. Andrew's cross label attached. SG. 311. M44 (6). 10d Dull Reddish Purple & Carmine. 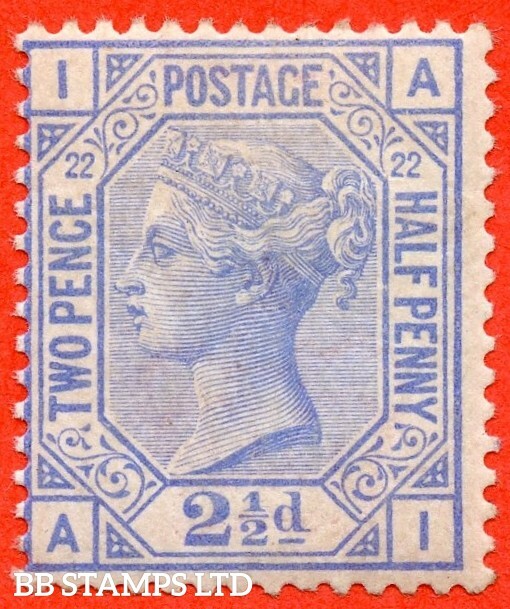 A very fine ( 1 stamp UNMOUNTED MINT ) bottom right hand corner marginal pair. SG. 319. M54 (2). 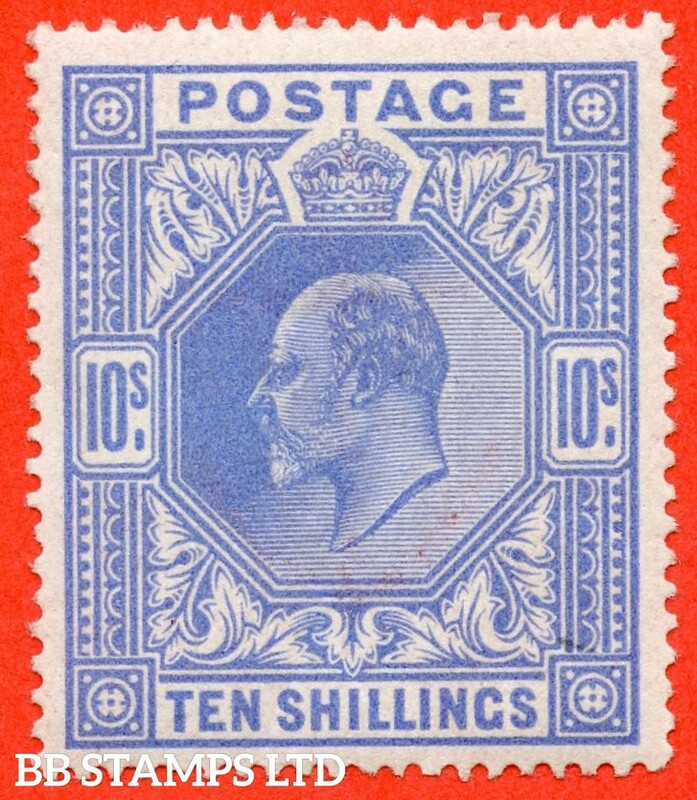 10/- Blue. 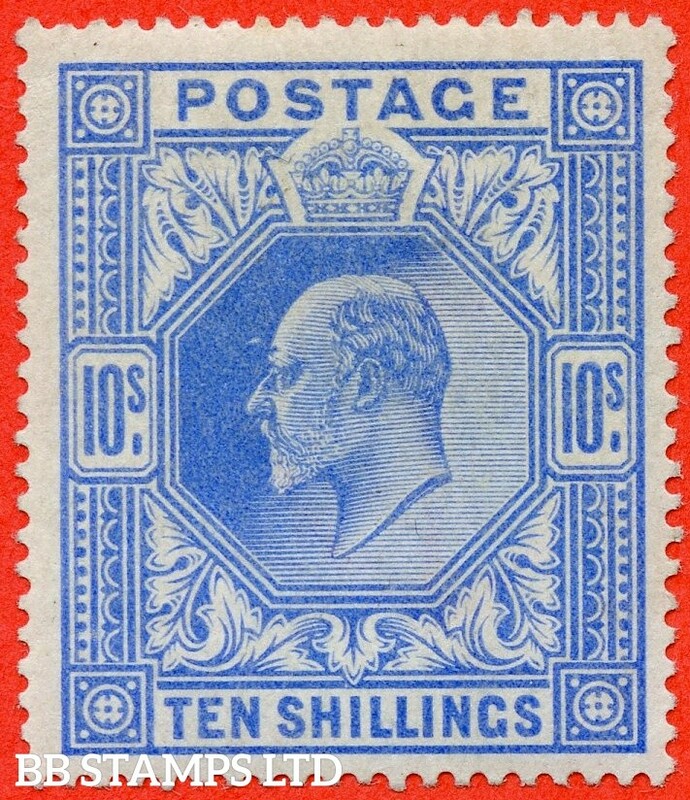 A very fine UNMOUNTED MINT example of this scarce Edward VII high value. SG. 320. M56. £1.00 Deep Green. 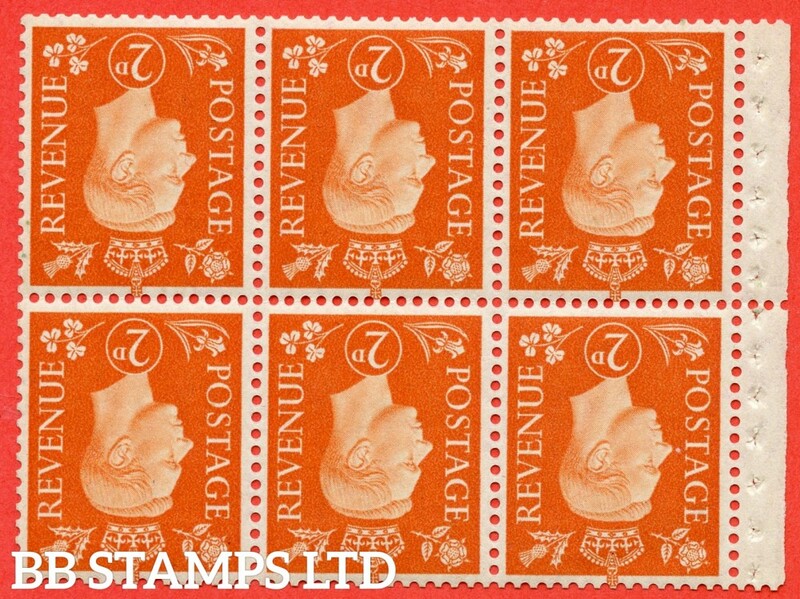 A very fine UNMOUNTED MINT example of this ever popular stamp. SG. M11 (3). 2d Pale Grey Green & Scarlet Vermilion. A super UNMOUNTED MINT example of this difficult Edwardian shade variety complete with Hendon certificate. SG. M6 (UNLISTED). 1d Deep Carmine Red. A superb UNMOUNTED MINT example of this known but unlisted by SG. Edwardian shade variety. Complete with certificate. SG. M7 (UNLISTED). 1d Deep Carmine. A superb UNMOUNTED MINT example of this known but unlisted by SG. shade variety complete with certificate. SG. 418 awi. N33 (1) c. ½d green. SIDEWAYS & INVERTED WATERMARK. A superb UNMOUNTED MINT example of this very RARE George V watermark variety. SG. 421 wi. N36 (1) b. 2d Orange. 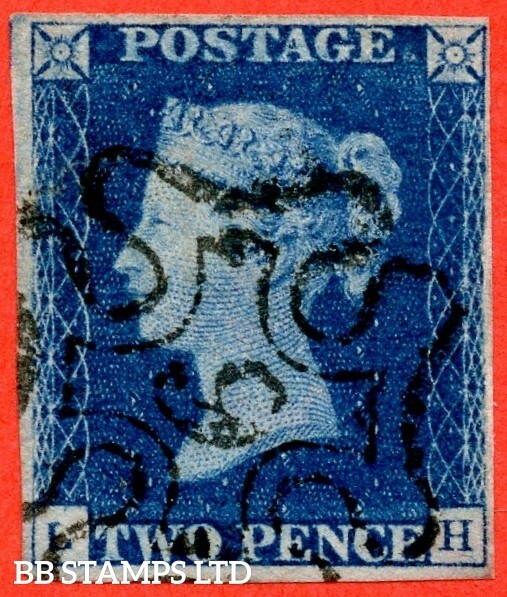 A SUPERB unmounted mint control ' G27 Imperf -- perf type 2 -- from plate 7 ' INVERTED WATERMARK strip of 3. SG. 428. N44 (1). 10d Turquoise Blue. 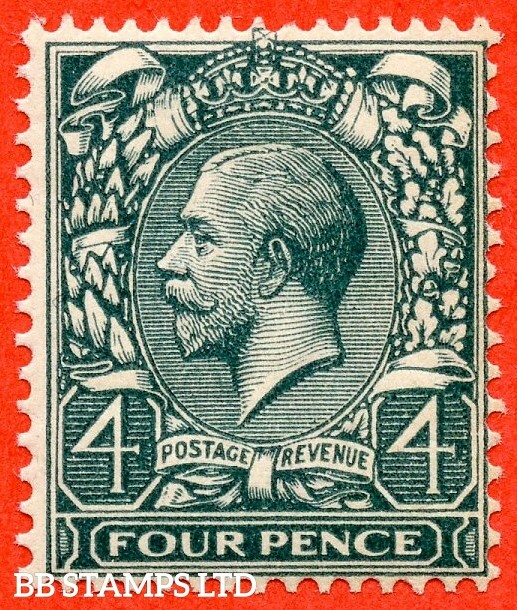 A mounted mint control " A24 imperf " example of this very scarce George V control. SG. N8 ( UNLISTED). 1d deep carmine red. 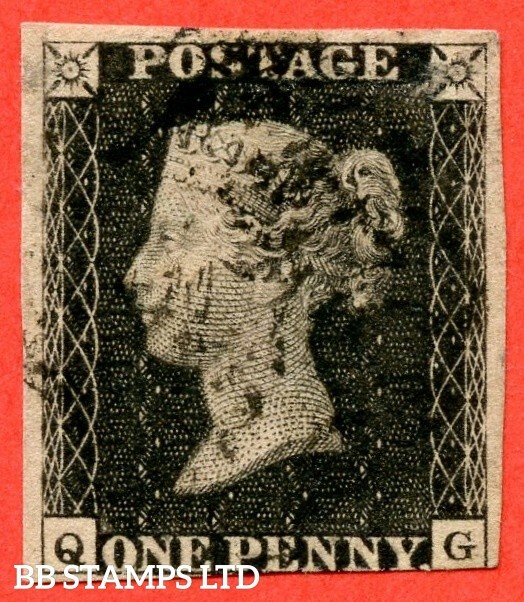 A fine UNMOUNTED MINT example of this known but unlisted by SG. George V shade variety. Complete with Hendon certificate. SG. 323. N1 (4). ½d Bluish Green. Die 1A. A super UNMOUNTED MINT example of this scarcer Downey shade complete with RPS certificate. SG. 328 a. N7 (5) f. 1d Pale carmine Die A. 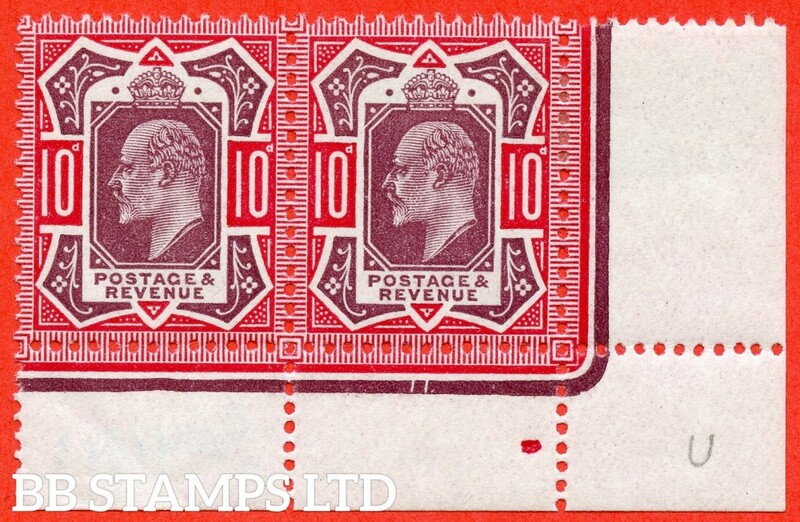 A super UNMOUNTED MINT horizontal pair clearly showing the RARE variety ' No Cross On Crown '. 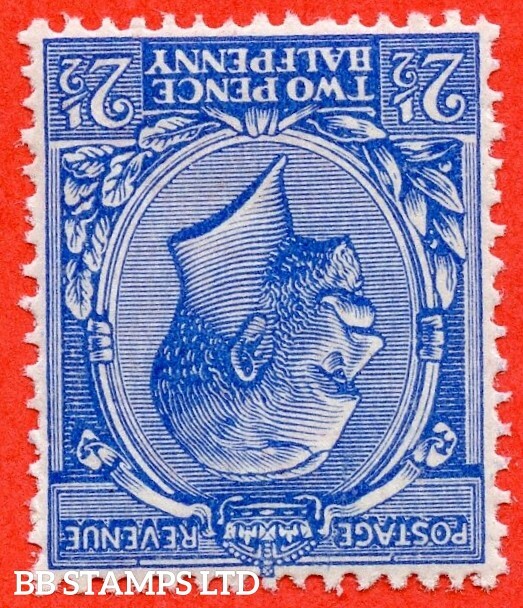 A very RARE and underrated stamp. SG. 328 a. Variety N7 (1) f. 1d carmine red. Die A. A very fine " 28th August SOUTH LAMBETH " CDS used example clearly showing the RARE variety ' No Cross On Crown '. A very RARE and underated stamp. SG. 328. N7 (5) k. 1d pale carmine Die 1A. 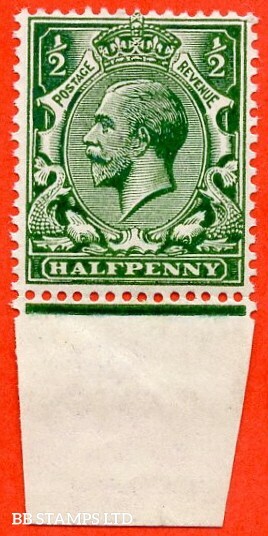 A very fine UNMOUNTED MINT control " A11 wide - imperf " horizontal pair with the listed variety " pale area by lion's paw. Plate 13b. Row 20/11. SG. 341. N11 (2) e. 1d bright scarlet. Die 2. 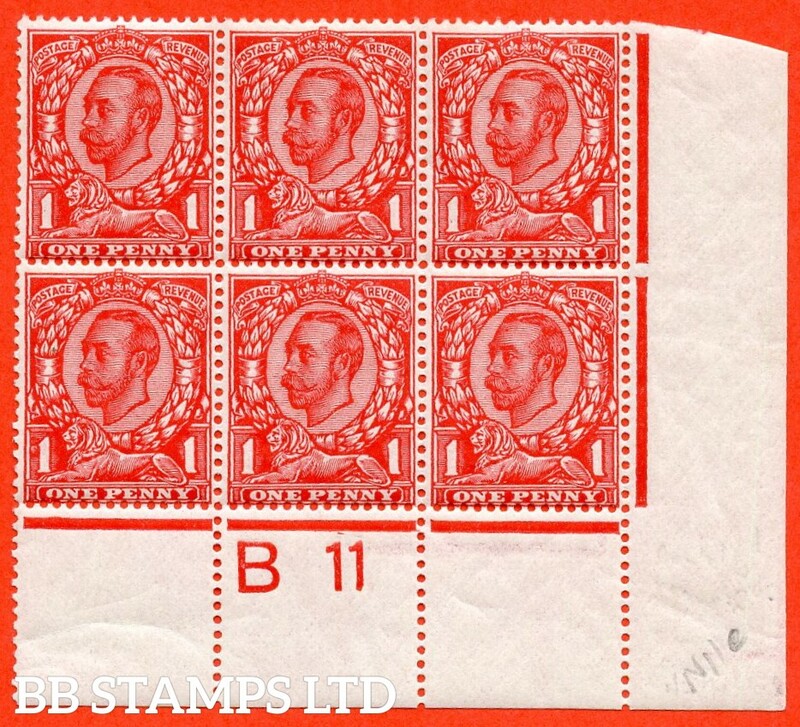 A very fine mint control " B11 " perf type 2A block of 6. 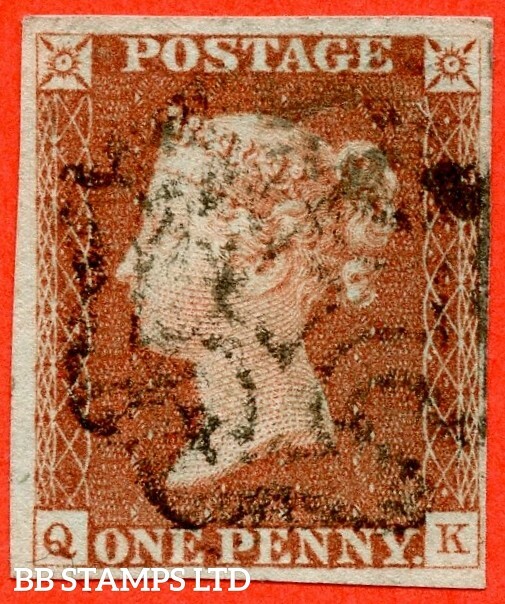 Clearly showing the listed variety " coloured blot on ' O ' of ' ONE ' ( Plate 5b Row 20/10 ". SG. N11 ( UNLISTED ). 1d Deep Scarlet. 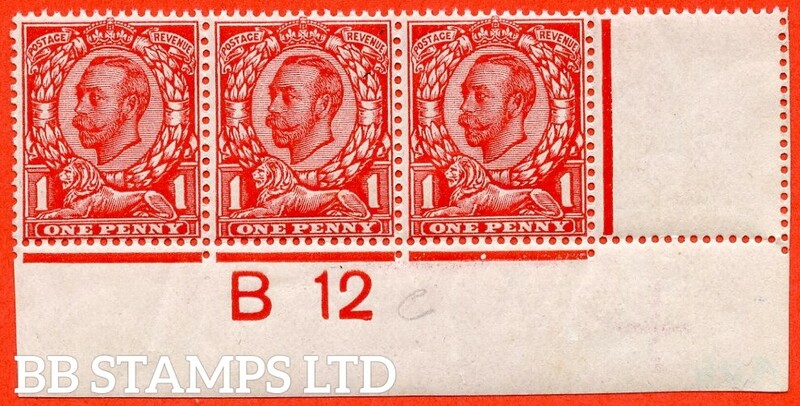 A fine UNMOUNTED MINT control " B12 close imperf " strip of 3 of this known but unlisted by SG. George V Downey Head shade variety. With Hendon certificate. SG. N50 1d. Scarlet. 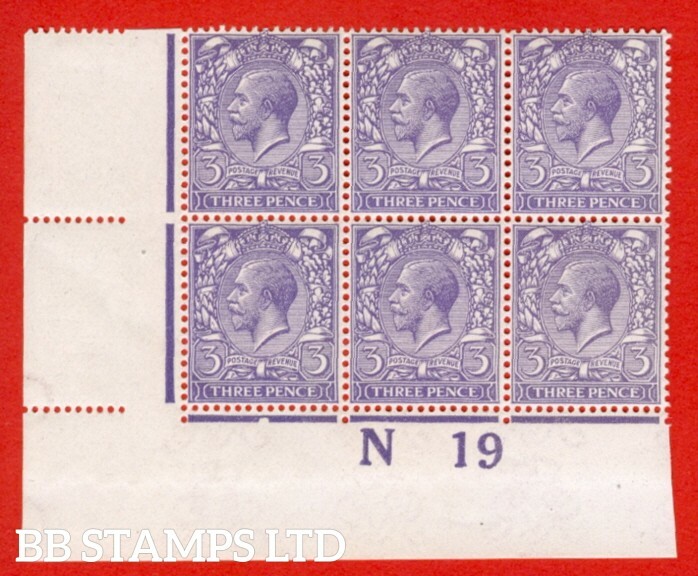 A fine mounted mint " Control W35 cylinder 32 dot " control block of 6 with perf type 6B (E/P). SG. 353 variety N14 (4). 1/2d very pale green. 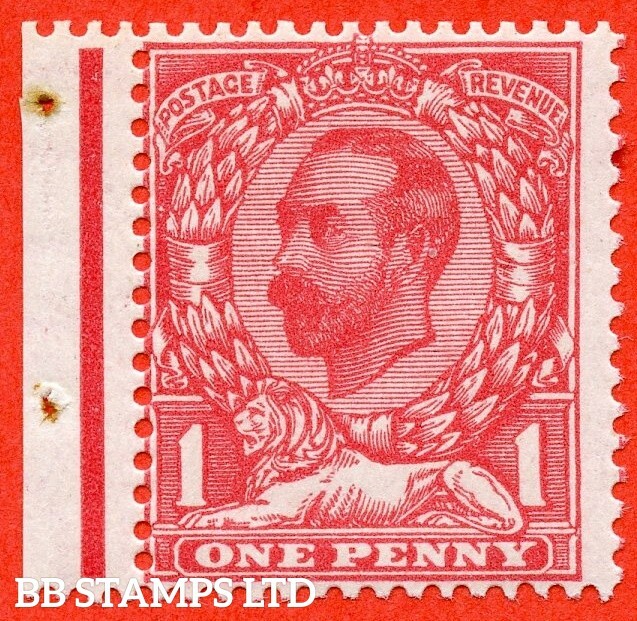 A very fine UNMOUNTED MINT example of this scarce George V shade complete with RPS certificate. SG. 354. N14 (8). 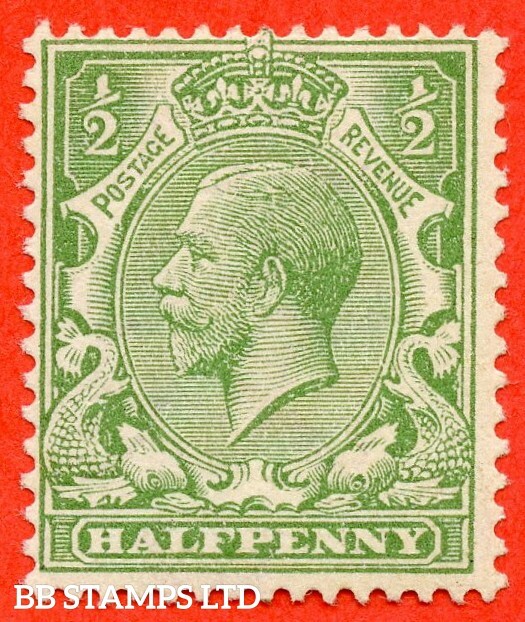 ½d yellow green. 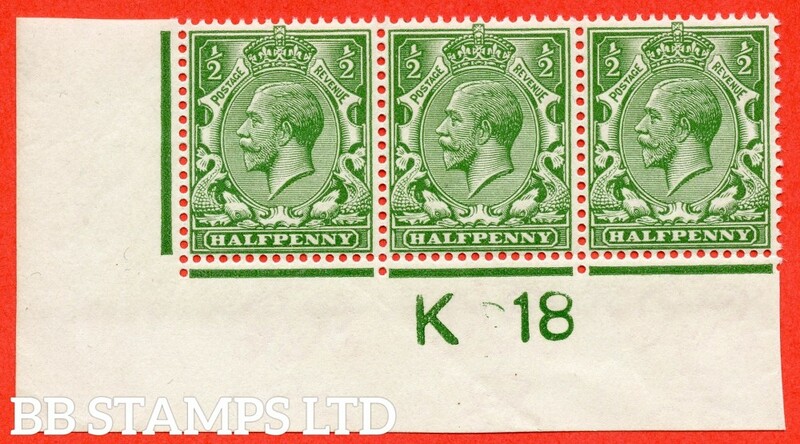 A fine UNMOUNTED MINT control " K18 imperf " strip of 3. 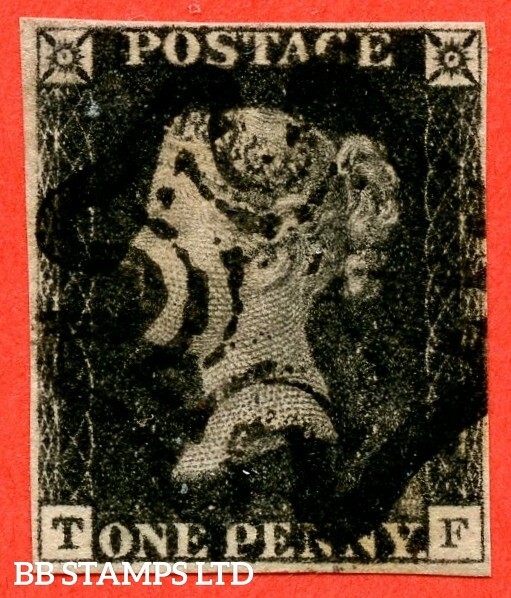 Watermark type II which is UNLISTED in SG. SG. 356. N14 (14) b. ½d blue green. " NO WATERMARK. 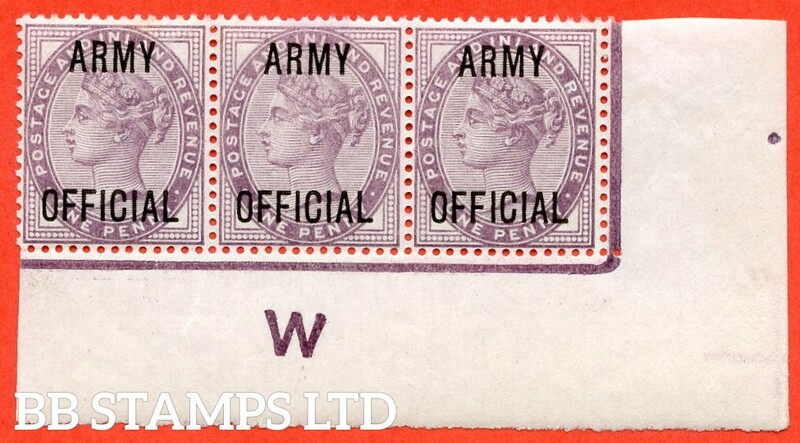 A superb UNMOUNTED MINT right hand marginal vertical strip of 3 complete with RPS certificate. SG. 393b wi. N30 (2) a. 9d pale olive green. INVERTED WATERMARK. 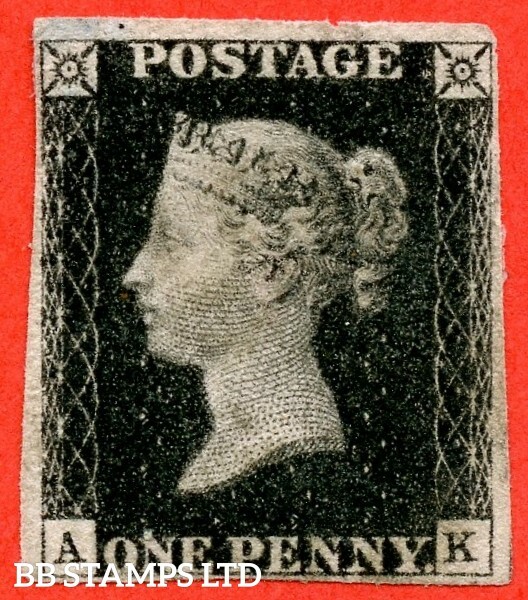 A super UNMOUNTED MINT example. SG. N16 (15). 1d Orange - Vermilion. 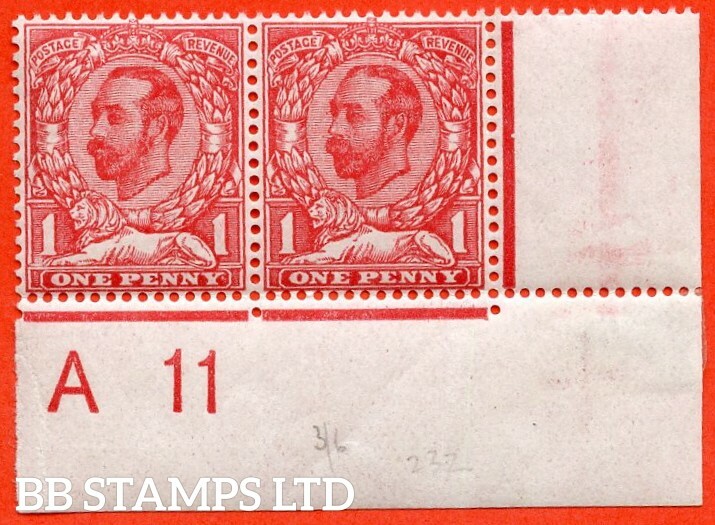 A very fine UNMOUNTED MINT control " L18 perf " example of this scarce shade complete with RPS certificate. SG. N21 (UNLISTED). 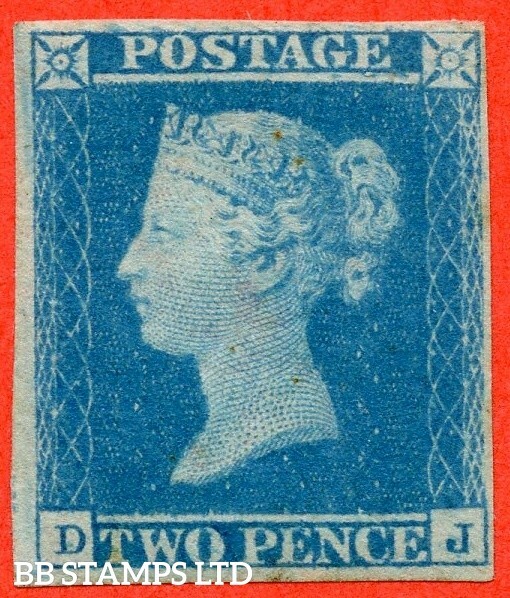 2½d pale bright blue. A superb UNMOUNTED MINT bottom marginal example of this known but unlisted by SG. Shade variety complete with Hendon certificate. SG. N22 (11) f. 3d Heliotrope. 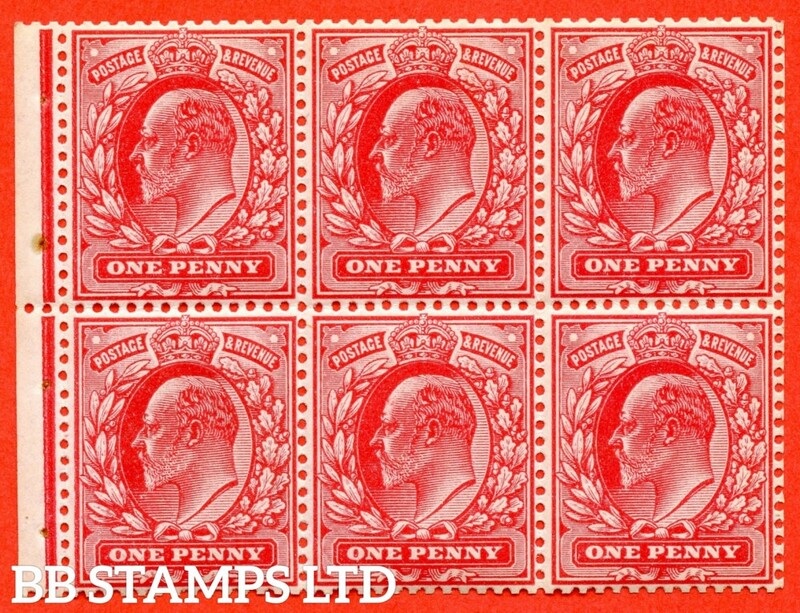 A superb UNMOUNTED MINT " control N19 imperf " block of 6 from plate 13b, perf type 2, with the listed variety " extension to E " row 19/2. Watermark type III. SG. N23 (7). 4d Deep Slate Green. A fine lightly mounted mint example complete with RPS certificate. SG. 399. N63 ( 2 ). 2/6 Deep Sepia Brown. A fine mounted mint example. SG. 401. N66 (1). 5/- rose - carmine. A fine mounted mint example. SG. 409. N67 ( 2 ). 5/- Carmine. 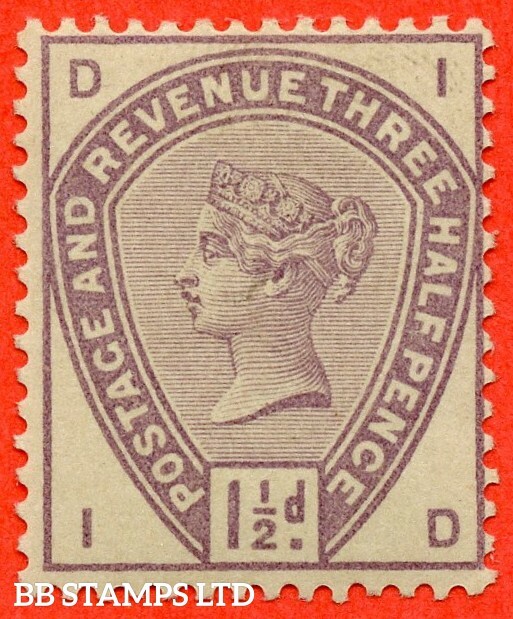 A fine UNMOUNTED MINT example with excellent perfs. SG. 451. N74. 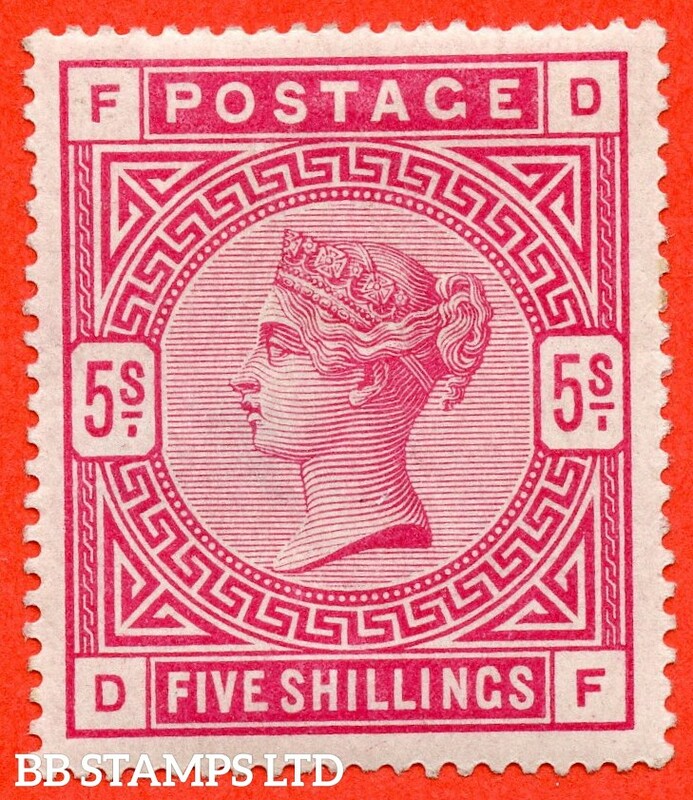 5/- bright rose - red. A " 1st July 1938 SOUTHAMPTON " CDS used block of 4. 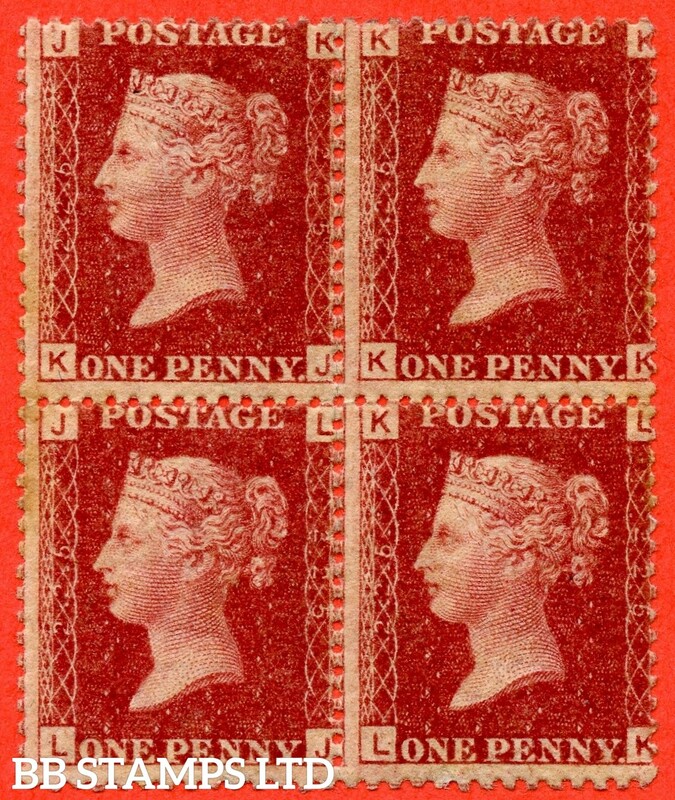 A scarce multiple. SG. 475. Q28. 1/- Bistre-Brown. 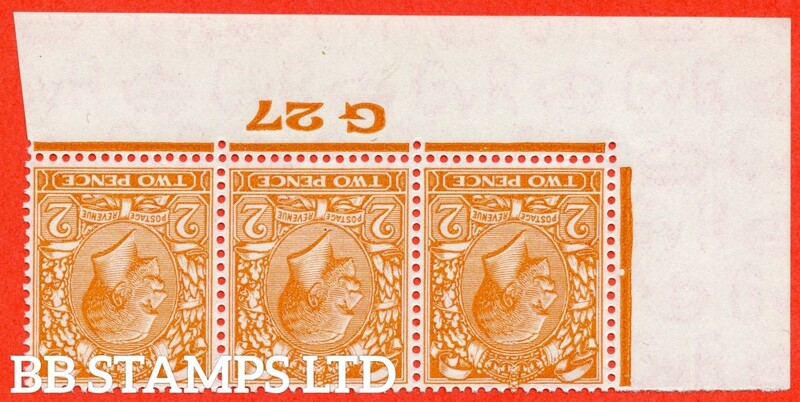 A superb UNMOUNTED MINT " Control S46 cylinder 16 no dot " control block of 6 with perf type 5 E/I. SG. 46. G3 (1). " NH ". 2d blue. Plate 13. A fine mounted mint example. SG. 5 f. DS5 wl. " LH " 2d Blue. Plate 2. A fine used example cancelled by a very fine " 6 in maltese cross " complete with Brandon certificate. SG. 5. D1 (2) uc. DS5. " DL ". 2d blue. Plate 1. 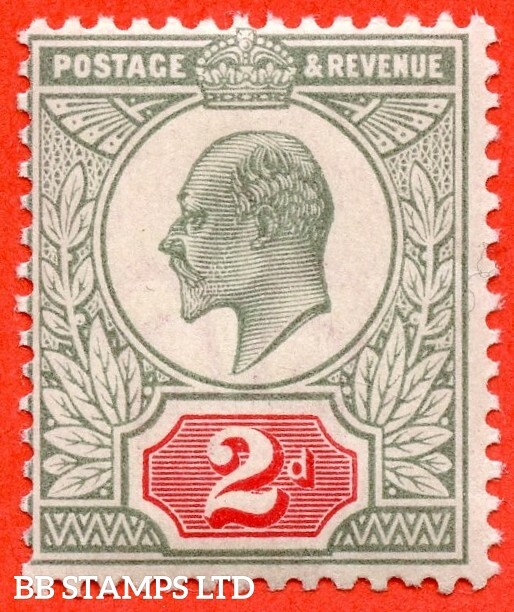 A fine used example with the " Ray flaws 2. 10 & 11 NE square. ' 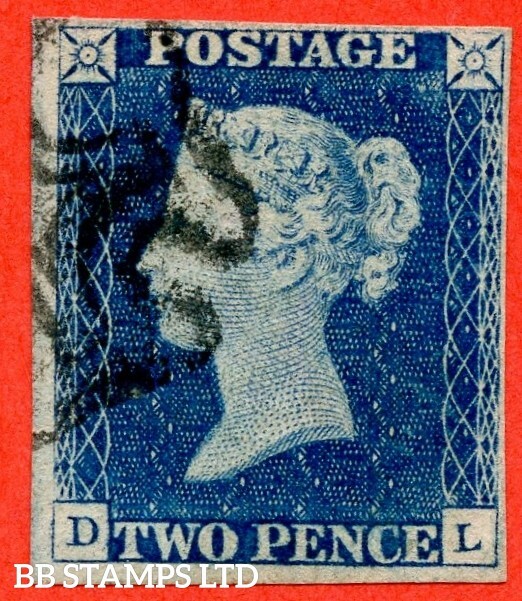 TW ' of ' TWO ' joined and ' O ' of ' TWO ' dented " varieties. SG. 14 f. E1 vj. " JB ". 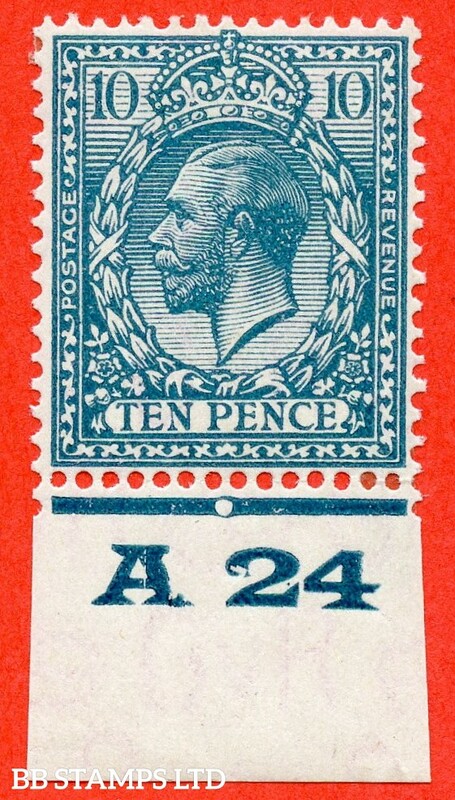 2d blue " 10 " in Maltese Cross. A very fine used example with a clear strike. 4 margins. SG. 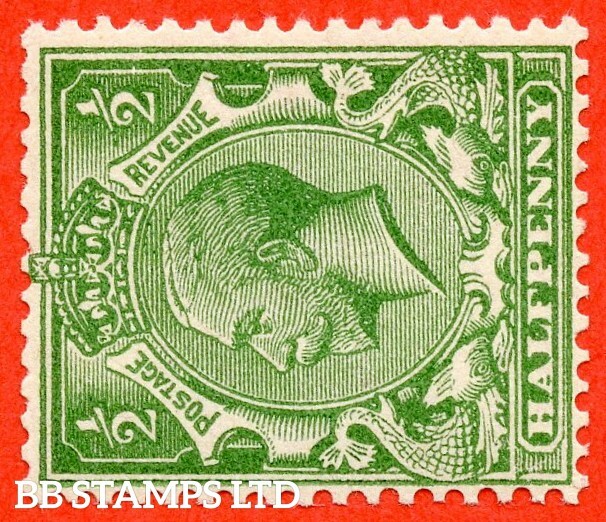 02 s. L1 (2) s. ½d pale green. I.R Official. 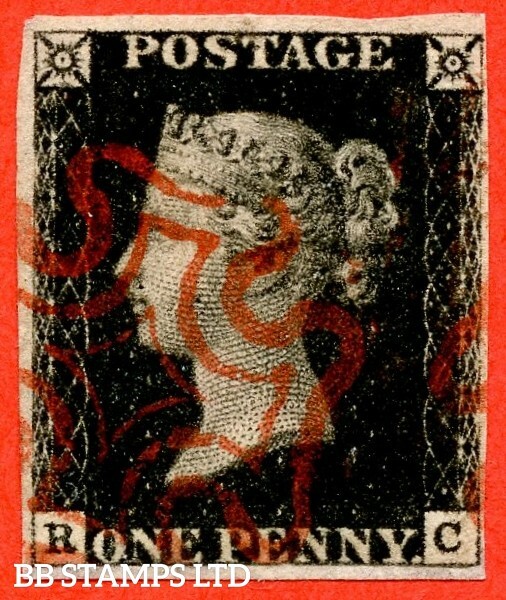 A fine mounted mint example overprinted with SPECIMEN type 9. SG. 043 -- L38. 1d Lilac. " ARMY OFFICIAL ". 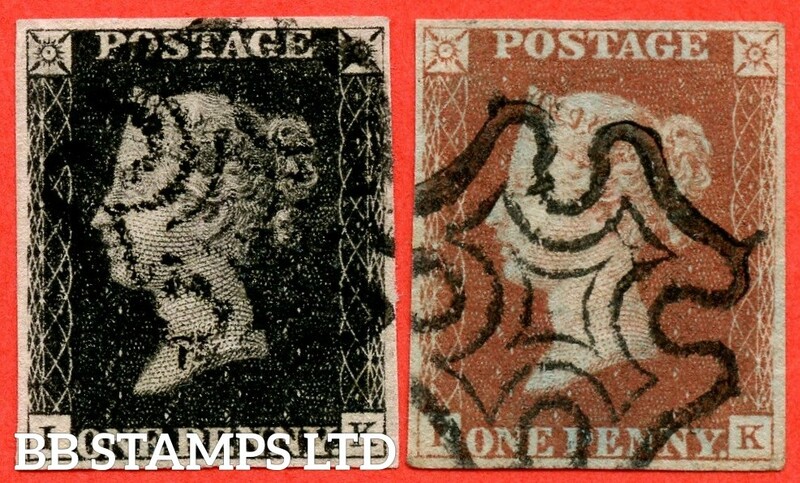 A superb UNMOUNTED MINT control " W imperf " corner marginal strip of 3. A very scarce multiple these days. SG. 3. A1 (3). AS2. " MB ". 1d grey-black ( worn plate ). Plate 1a. 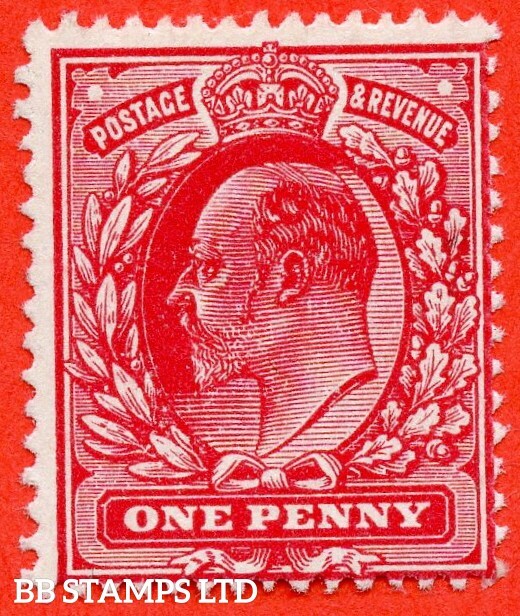 A fine used example cancelled with a red maltese cross. 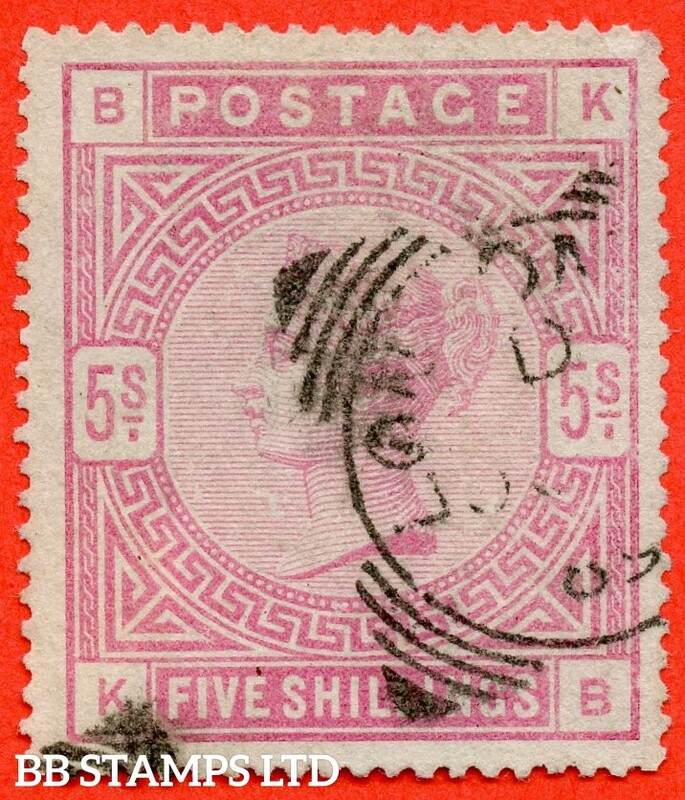 With the constant variety " Ray flaws 10 / 5 NW square ". SG. 2. A1 (2). AS5. " EG ". 1d black. Plate 1b. 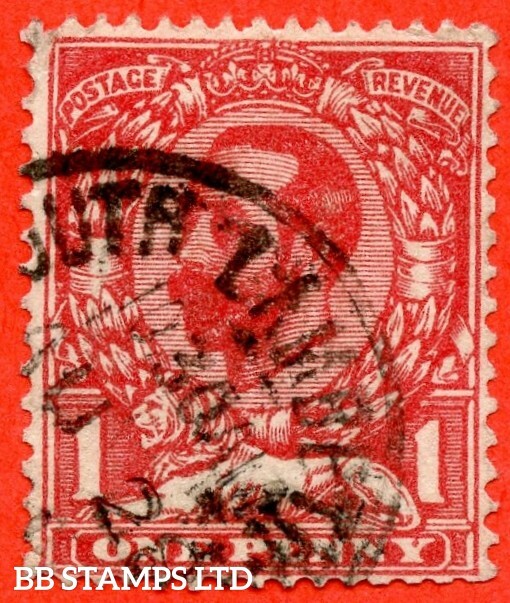 A good used example cancelled by a red maltese cross with the constant variety " Ray flaws 10 / 7 NW square ". SG. 2. A1 (2). AS5. " SD ". 1d black. Plate 1b. A fine used example cancelled by a black maltese cross. With the " Ray flaws 10 / 7 NW square " variety. SG. 2. A1 (2). AS5. " TF ". 1d black. Plate 1b. 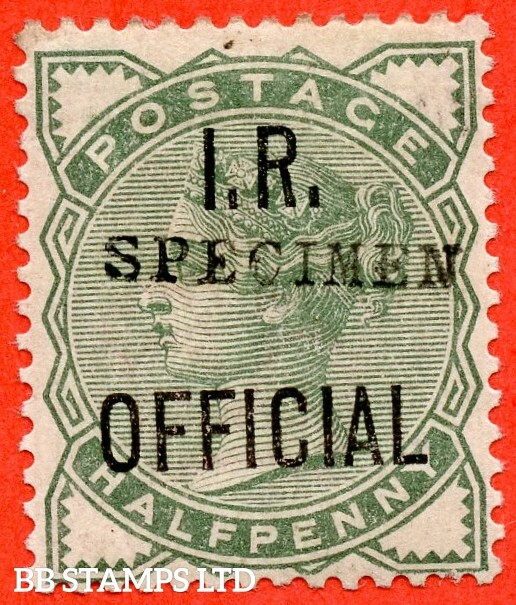 A good used example cancelled by a black maltese cross with the constant variety " Ray flaws 10 / 7 NW square ". SG. 2. A1 (2). AS15. " CG ". 1d black. Plate 2. 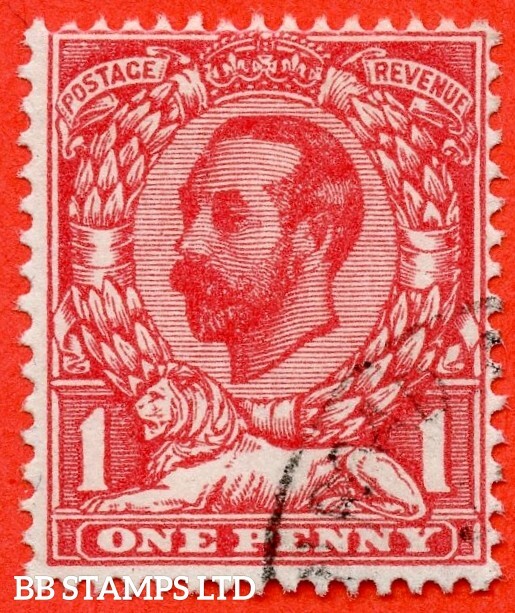 A fine used example cancelled by a red maltese cross. SG. 2 & 7. A1 (2) & A2. AS25 & AS26. " IK ". Plate 5. A very fine used matched pair with the variety " Bottom line extends left ". SG. 2. A1 (2). AS25. " NB NC ". 1d black. Plate 5. 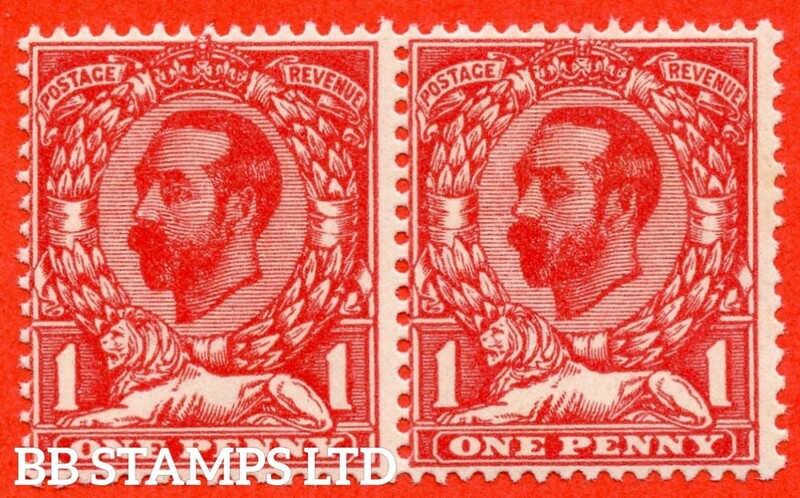 A fine used horizontal pair cancelled by a red maltese crosses. " ' NB ' with the ' B ' defective and bottom line extends left " variety. SG. 2. A1 (2). AS25. " QL ". 1d black. Plate 5. 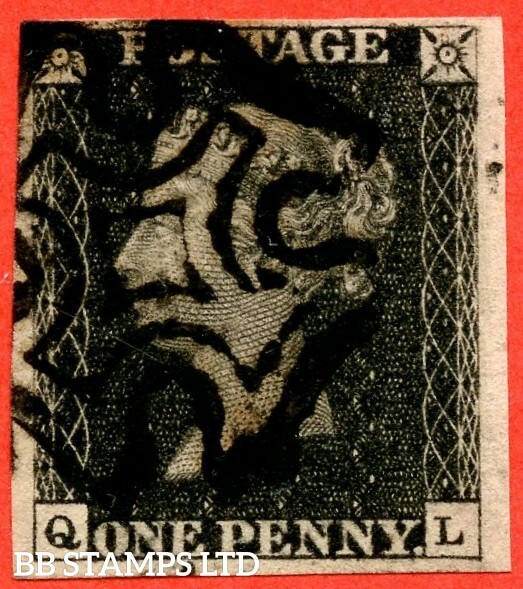 A good used example cancelled by a black maltese cross with the " Right side line extends below " variety..
SG. 1. A1 (1). AS40. " BD ". 1d intense black. Plate 6. 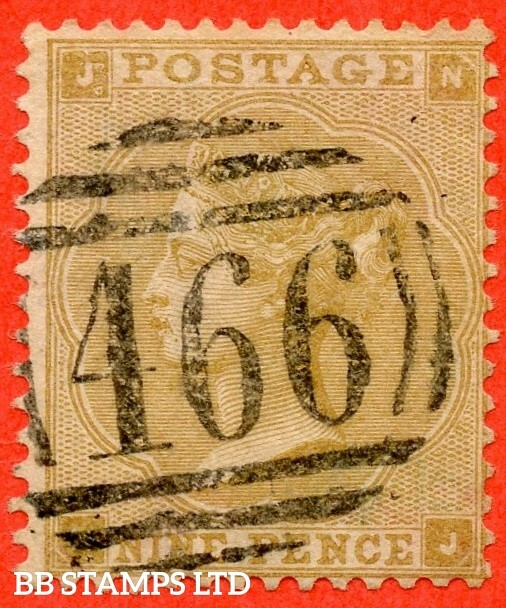 A good used example cancelled by a red maltese cross. SG. 2 c. A1 (2) h. AS41. " EJ ". 1d black. Plate 6. 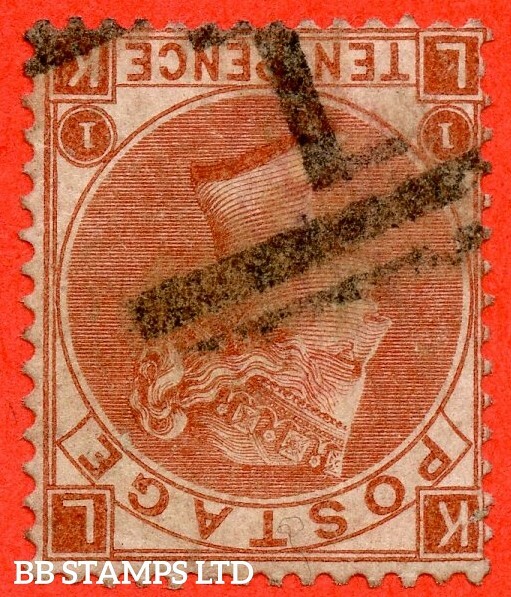 A used example cancelled by a red maltese cross with the listed variety " Vertical guide line NE square ". SG. 2 c. A1 (2) h. AS46. " RK ". 1d black. Plate 8. 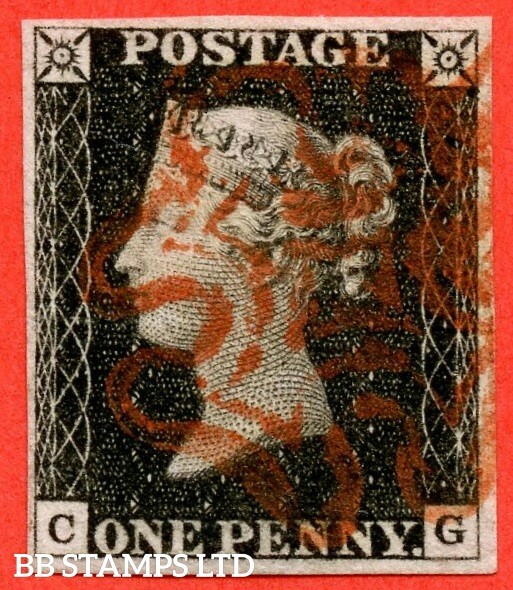 A fine used example cancelled by a black maltese cross with the listed " Vertical guide line NE sq. " variety. Also " ' O ' flaw ( stage 1 ) " variety. SG. 2 c. A1 (2) h. AS56. " LE ". 1d black. Plate 9. 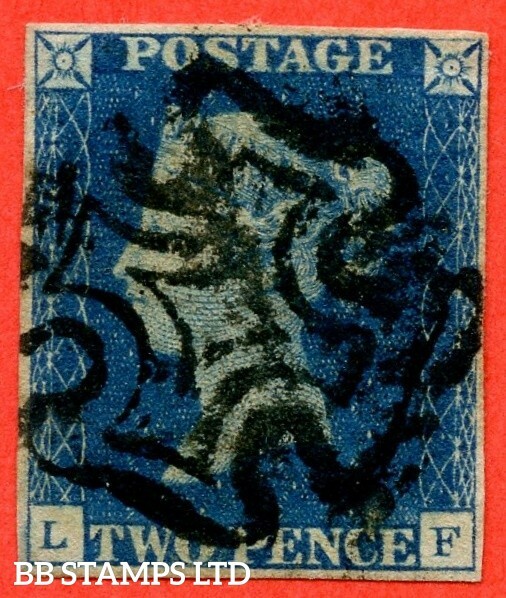 A good used example cancelled by a black maltese cross with the listed variety " Vertical guide line NE & SE squares " also " ' O ' flaw variety. SG. D18. 2/6 Purple / yellow. A super mint Control " I28 imperf " strip of 3. A VERY RARE multiple. SG. 188. " ID ". Variety 1½d purple on buff paper without watermark. COLOUR TRIAL. A very fine lightly mounted mint example. SG. 189. " EE ". Variety 2d purple on yellow paper without watermark. COLOUR TRIAL. A very fine lightly mounted mint example. SG. 1018a. 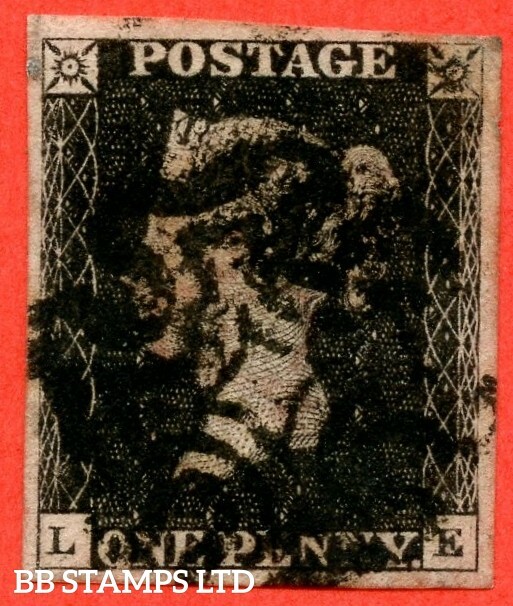 6½p. Blue. Bistre-Yellow. Brown and Orange. 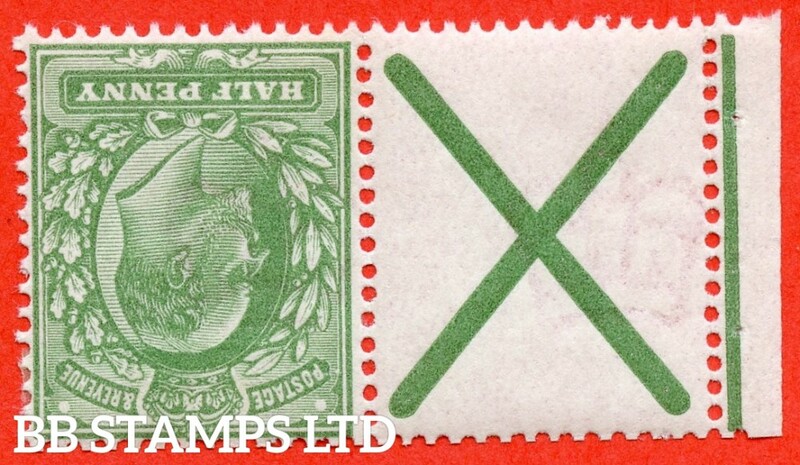 A superb UNMOUNTED MINT left hand marginal horizontal pair. SG. S51 Ea. 31p bright purple. Type II. A very fine CDS used example example of this very scarce regional. SG. Y1681 a. 17p brown-olive. 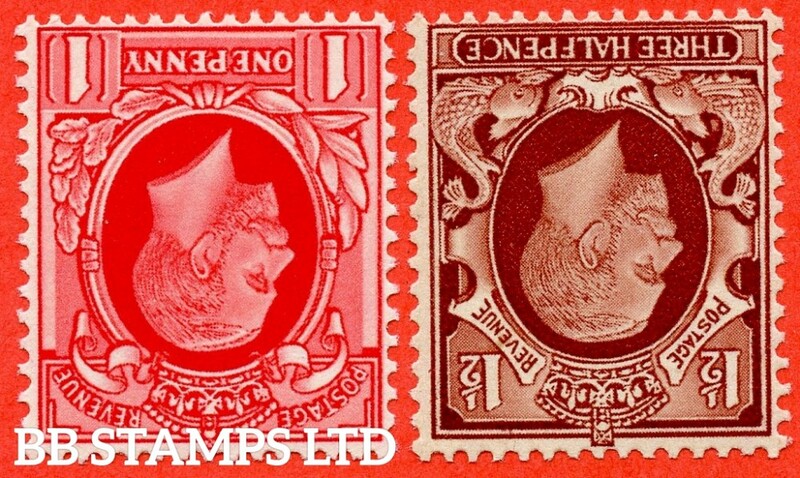 A superb UNMOUNTED MINT right hand marginal " IMPERF " error horizontal pair. Newly listed but unpriced in SG. SG. 7. A2. AS6. " QK ". 1d red brown. Plate 1b. A very fine used example cancelled by a fine black maltese cross. SG. 112 wi. J97 (1) e. " LK ". 10d red brown. Plate 1. INVERTED WATERMARK. 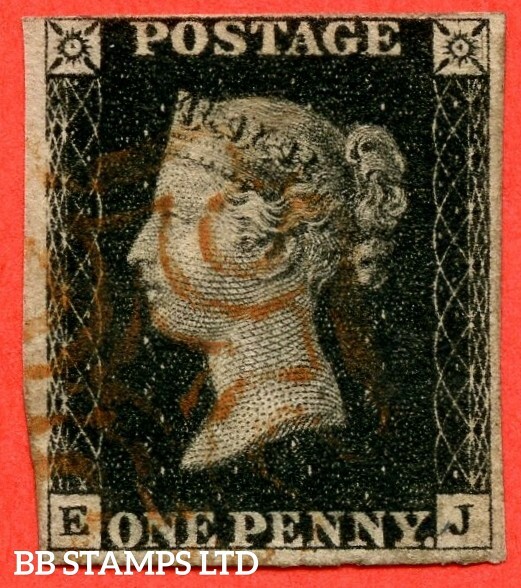 A fine used example of this scarce watermark variety. SG. 146. J86. " FJ ". 6d Deep Grey. Plate 16. A very fine mounted mint example. SG. 157. J24. " AI ". 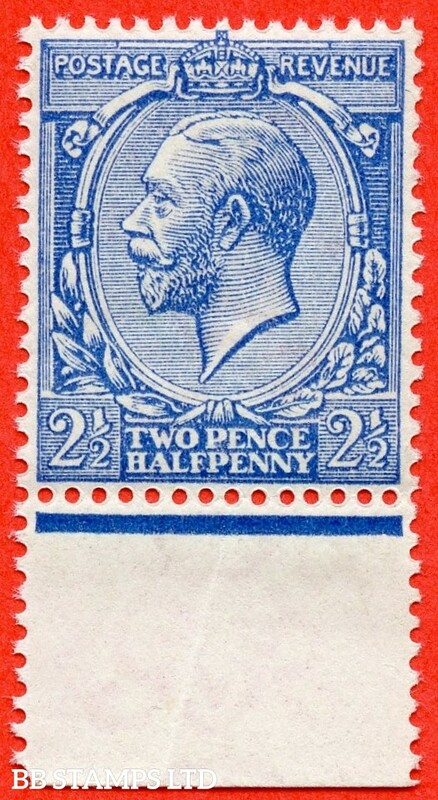 2½d blue. Plate 22. 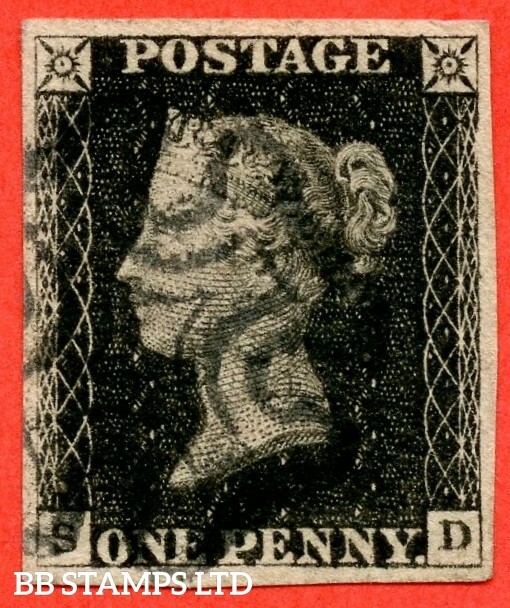 A super UNMOUNTED MINT example. SG. 176. " KB ". 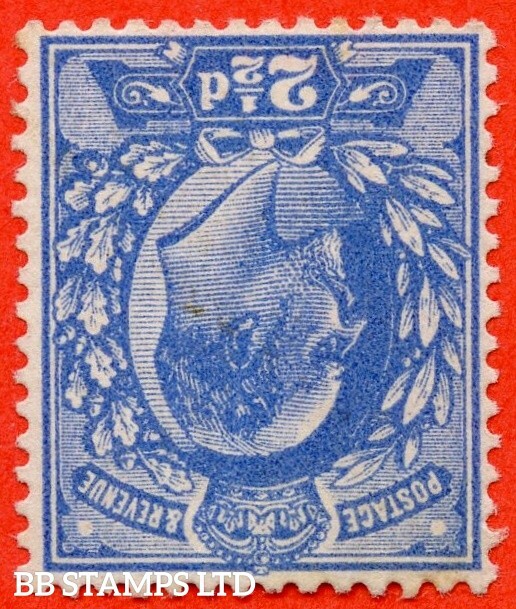 5/- rose ( blued paper ). A used example of this difficult issue complete with BPA certificate. Small faults but still collectable. SG. 180. K12 (1). " AD ". 5/- Rose. 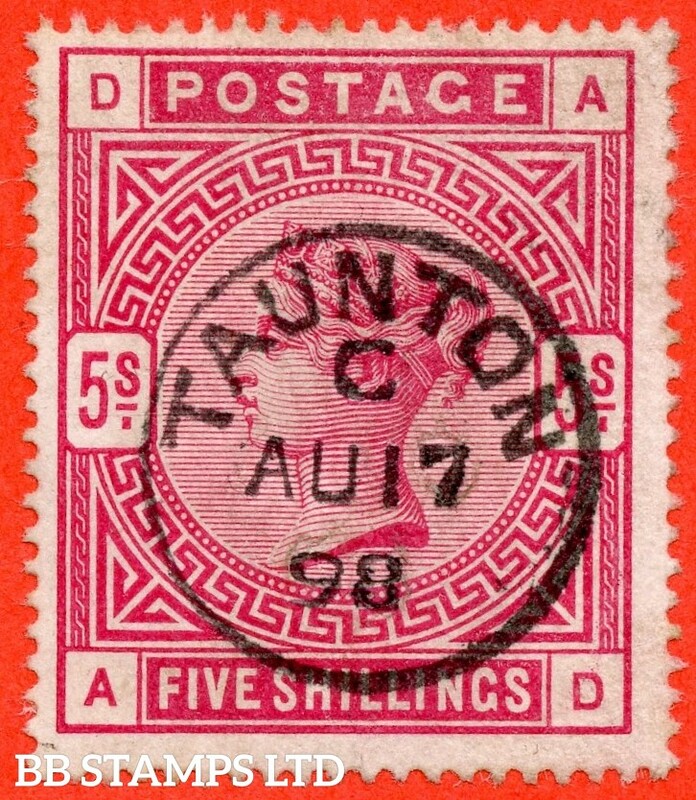 A very fine " 17th August 1898 TAUNTON " CDS used example. SG. 180. K12 (1). " DF ". 5/- Rose. A decent mounted mint example. SG. 185 s. K15 t. " FD ". £1.00 brown - lilac. 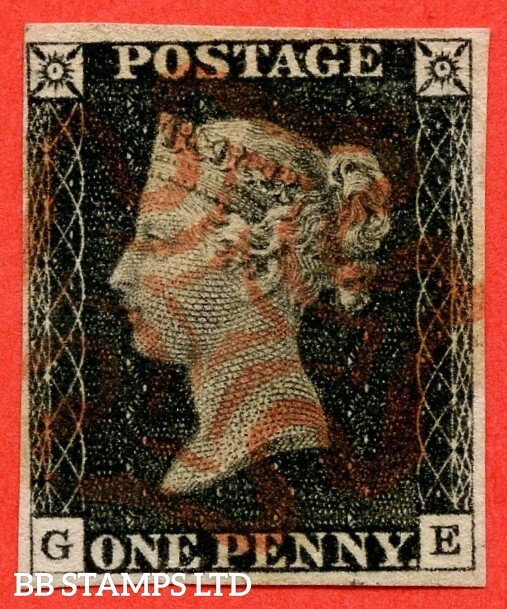 A fine mounted mint example overprinted SPECIMEN type 9. SG. 356 variety N14 (16) ½d Deep Myrtle Green. A super UNMOUNTED MINT bottom marginal example complete with RPS certificate. SG. 134. J123 a. " FC " 5/- Rose. Plate 4. 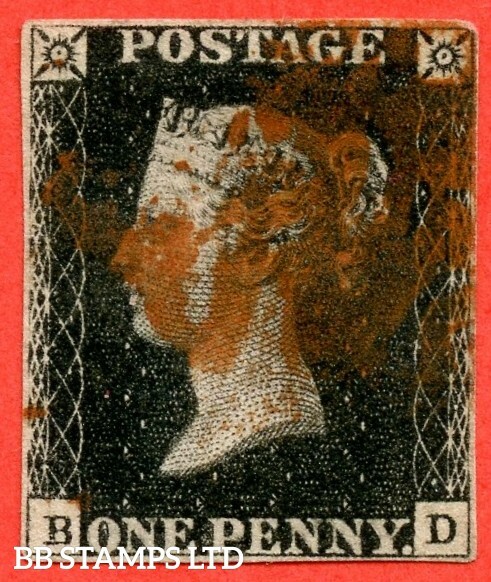 A decent average mint example of this scarce Victorian issue. SG. N45 (2). 1/- buff - brown. 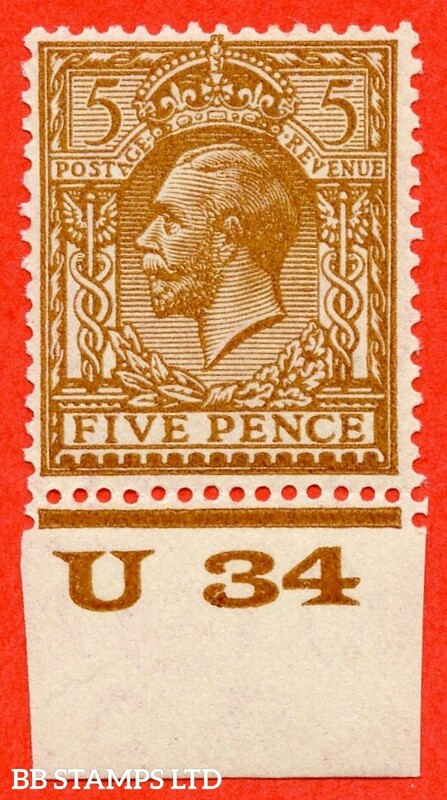 A very fine mounted mint control " U34 imperf " example from the RARE Waterlow Provisional printing Comb head ' E '. Complete with RPS certificate. SG. 265. M53 (1) 10/- Ultramarine. 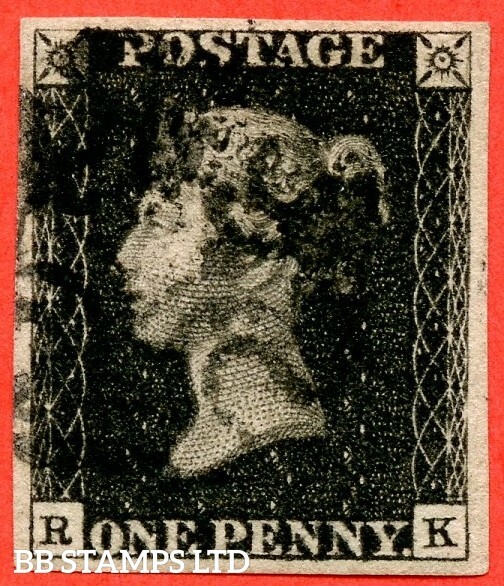 A fine UNMOUNTED MINT example. SG. 5. D1 (2) uc. DS8. " LF ". 2d blue. Plate 2. 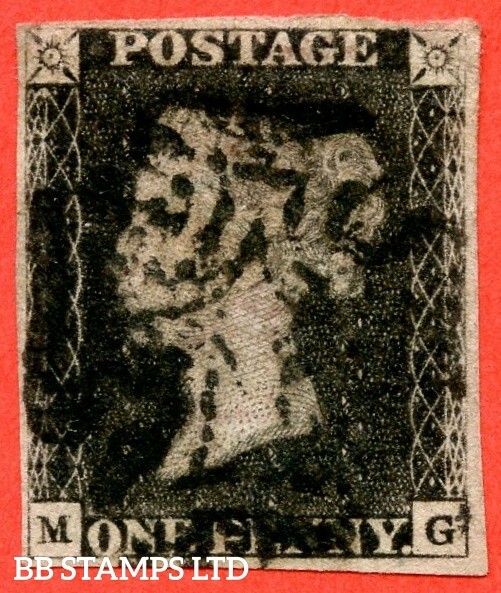 A good used example cancelled by a black maltese cross. SG. 2. A1 (2). AS25. " AK ". 1d black. Plate 5. An average mint example. SG. 2. A1 (2). AS23. " FI ". 1d black. Plate 4. A fine used example cancelled by a red maltese cross. SG. 2. A1 (2). AS25. " RC ". 1d black. Plate 5. 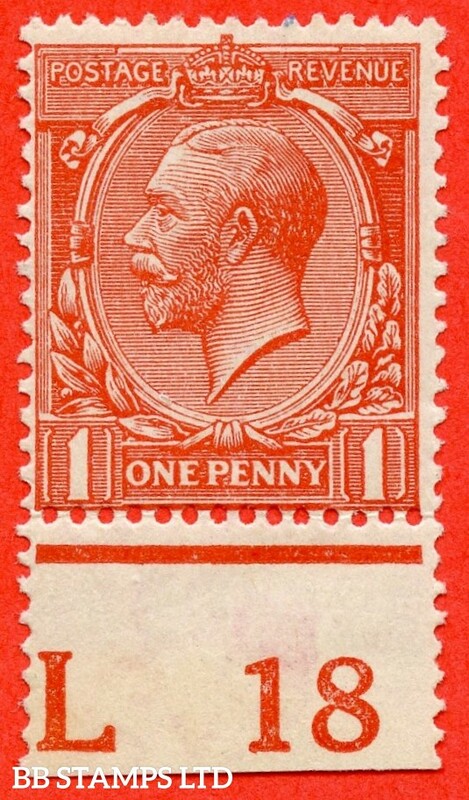 A very fine used example cancelled by a red maltese cross. With the " Mark in NW square " variety. SG. 2. A1 (2). AS20. " GE ". 1d black. Plate 3. 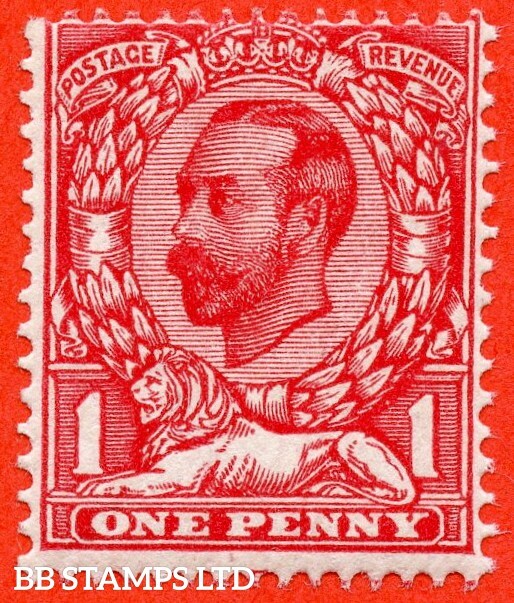 A fine used example cancelled by a red maltese cross. SG. 88. J93. " NJ ". 9d bistre. " Hair Lines. Plate 3. " ABNORMAL ". 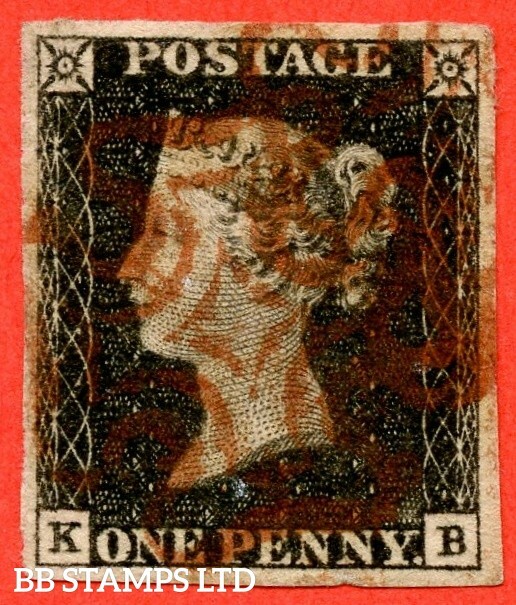 A superb used example of this RARE Victorian issue. Complete with BRANDON certificate. SG. 425 variety N40 (4). 5d bright ochre brown. 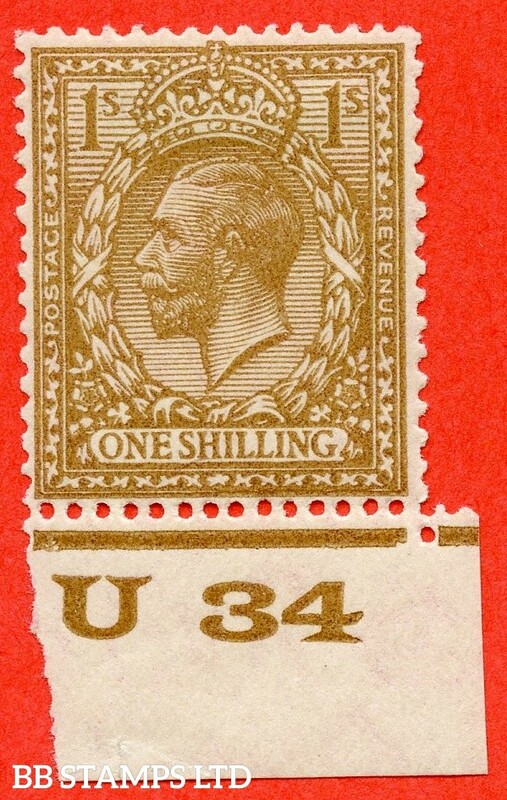 A very fine UNMOUNTED MINT control " U34 imperf " example from the scarce WATERLOW PROVISIONAL PRINTING comb head " B ". Complete with RPS certificate. SG. 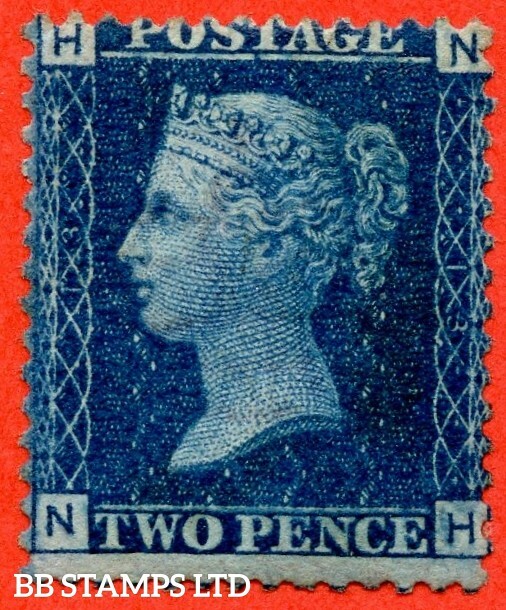 371 wk variety N21 ( UNLISTED ) d. 2½d deep bright cobalt blue. INVERTED & REVERSED WATERMARK. 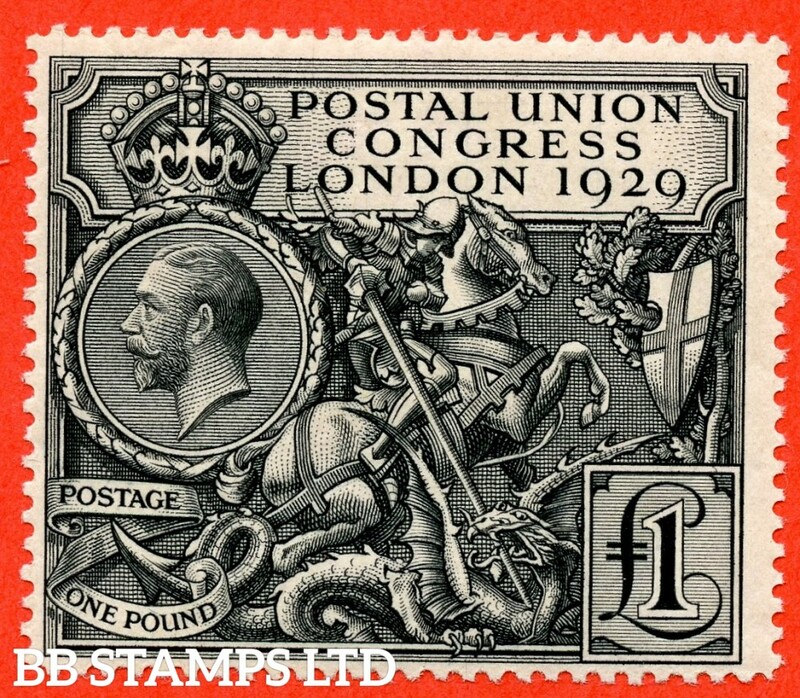 A fine UNMOUNTED MINT example of this known but unlisted George V shade variety complete with Hendon certificate. SG. 43/44. " KJ KK LJ LK ". 1d Rose - red plate 225. 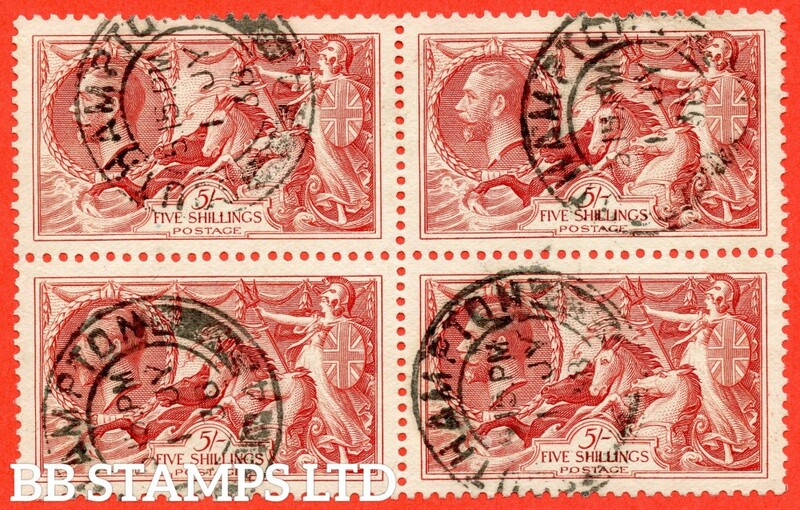 A very fine ( 2 stamps UNMOUNTED MINT ) mint block of 4. A RARE multiple these days. SG. 328 a. Variety N7 (1) f. 1d carmine red. Die A. 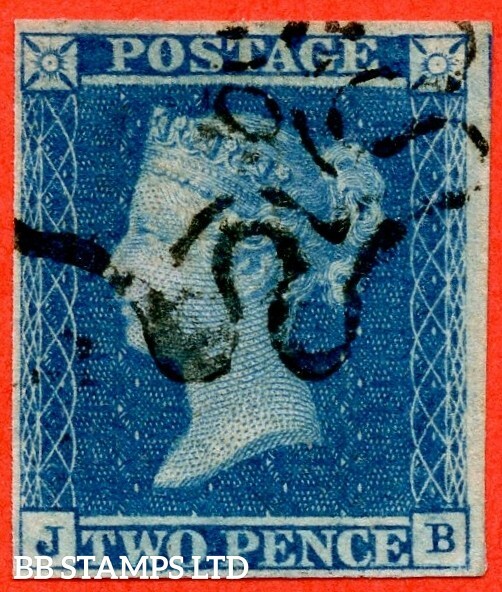 A very fine CDS used example clearly showing the RARE variety ' No Cross On Crown '. A very RARE and underated stamp. SG. 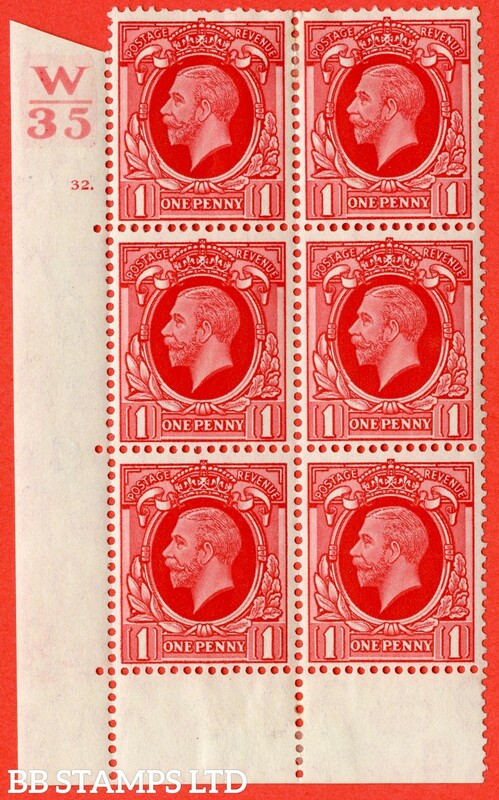 341 b. N11 (2) f. 1d bright scarlet die 2. 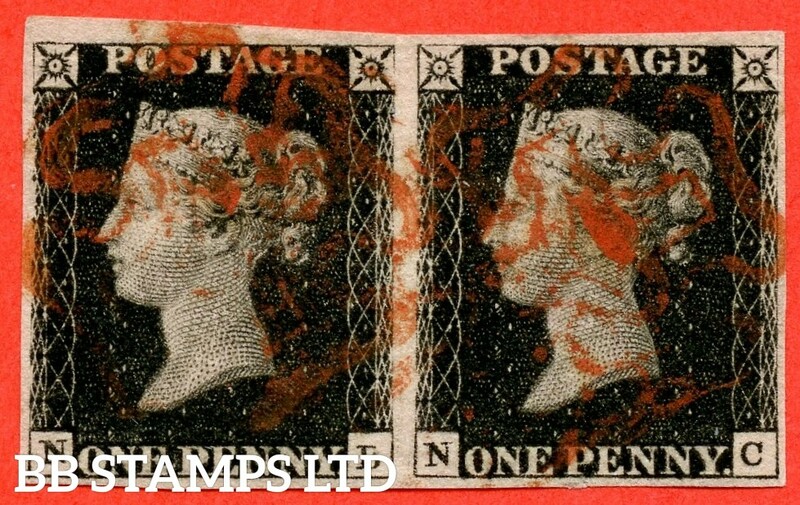 A super UNMOUNTED MINTbottom marginal vertical pair of the scarce listed variety " Printed double. One Albino ". A RARE multiple and complete with RPS certificate. SG. 420 variety N35 (UNLISTED). 1½d very deep red brown. 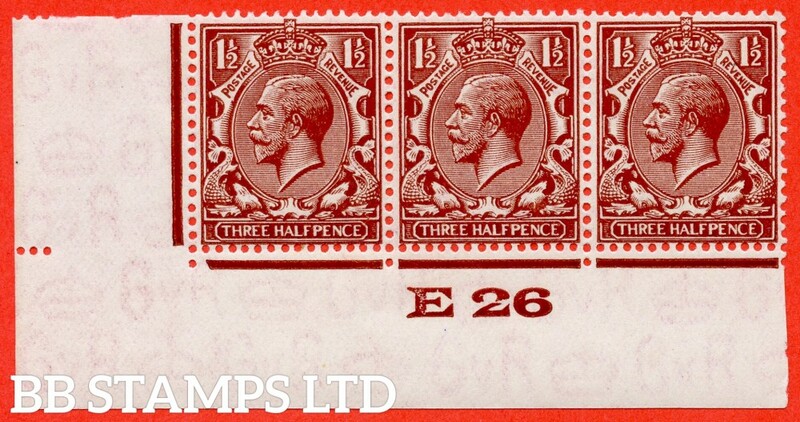 A very fine UNMOUNTED MINT control " E26 imperf " strip of 3 of this known but unlisted by SG. George V shade variety. Complete with Hendon certificate. SG. 2. A1 (2). AS66. " QG ". 1d black. Plate 10. A very fine used example cancelled by a black maltese cross. With the " ' O ' flaw " variety. SG. 140. J2 b. " LH -- FL ". 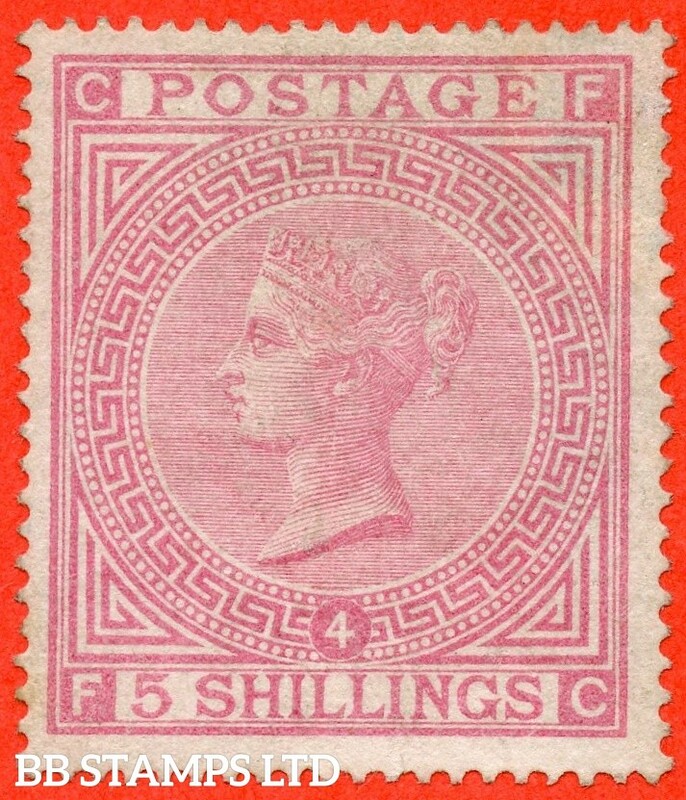 2½d rosy mauve. Plate 2. " ERROR OF LETTERING ". 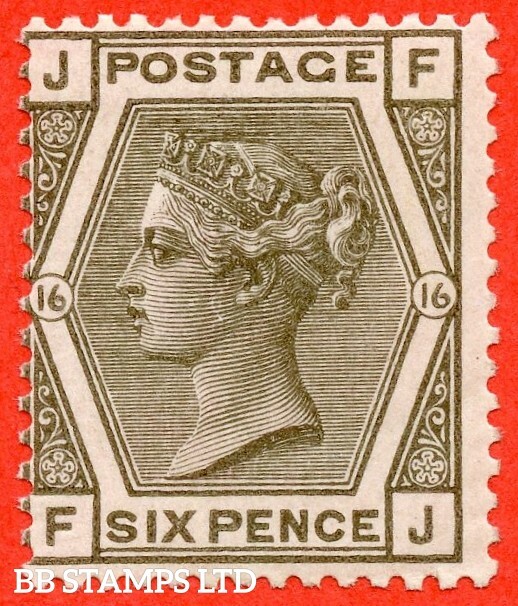 A good / fine used example of this RARE Victorian variety. SG. 14 f. E1 vg. ES11 f. " EG ". 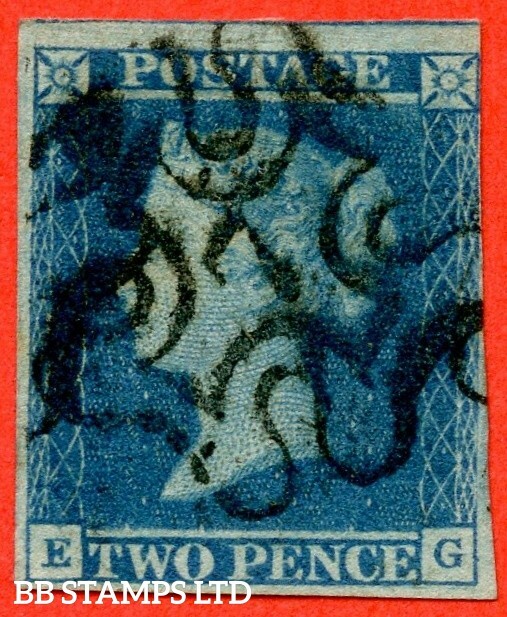 2d blue " 7 " in Maltese Cross. Plate 3. A fine used example. SG. 51/52. G6." NK ". 1½d rose red. Plate 3. 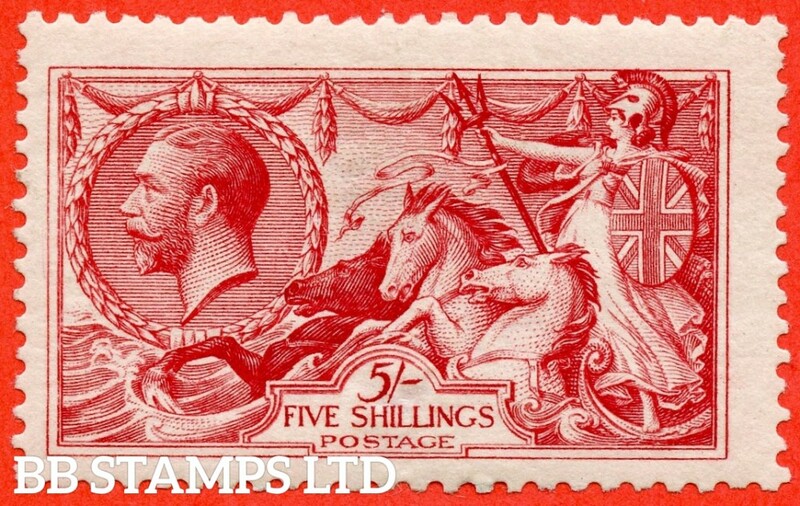 A very fine UNMOUNTED MINT example. SG. 8m. B1 (1) ug. BS22. " CJ CK ". 1d red - brown. " 7 " in maltese cross. Plate 33. 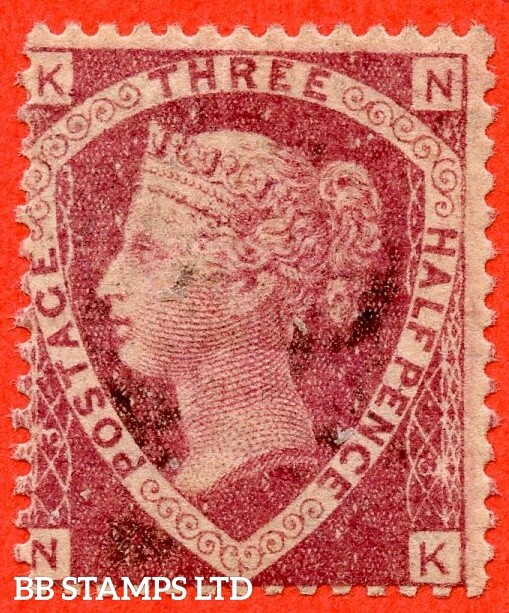 A very fine used horizontal pair with the " 1842/3 Ray flaws " variety. SG. 465 cw. QB29 a. 2d orange. INVERTED WATERMARK. 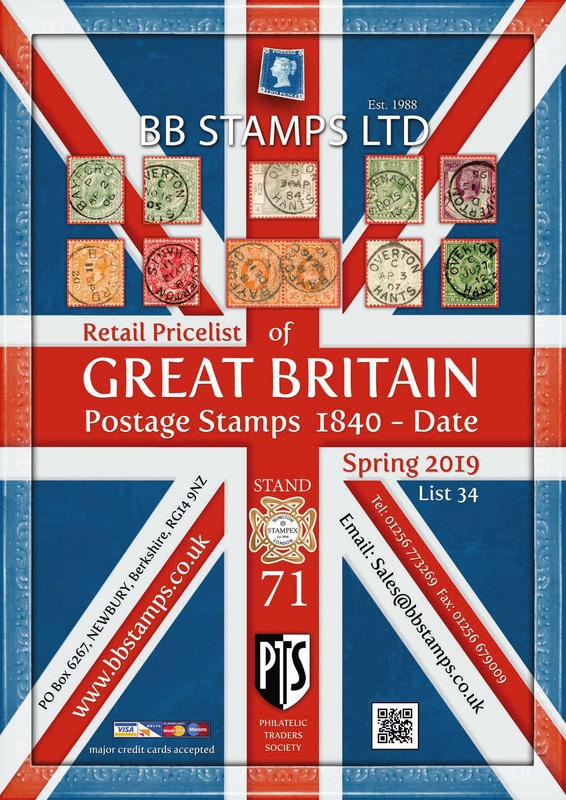 A superb UNMOUNTED MINT complete booklet pane. Perf type ' P '. SG. 331. N8 (8). 1d Rose Pink. Die 1B. 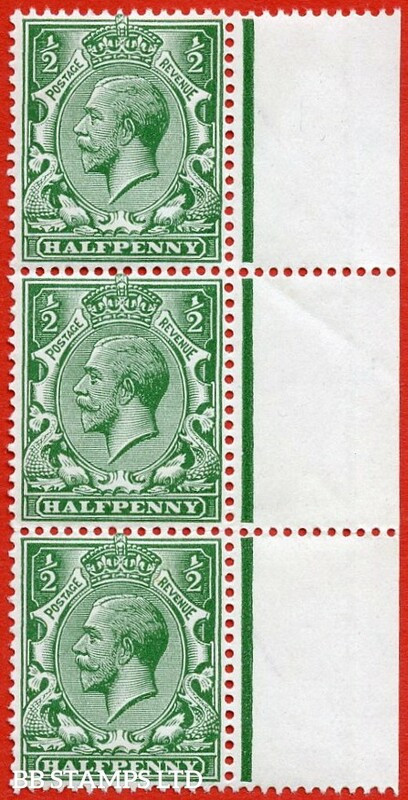 A very fine UNMOUNTED MINT left hand marginal example of this difficult George V Downey shade variety complete with RPS certificate. SG. 0106. MO35. 3d purple / yellow. 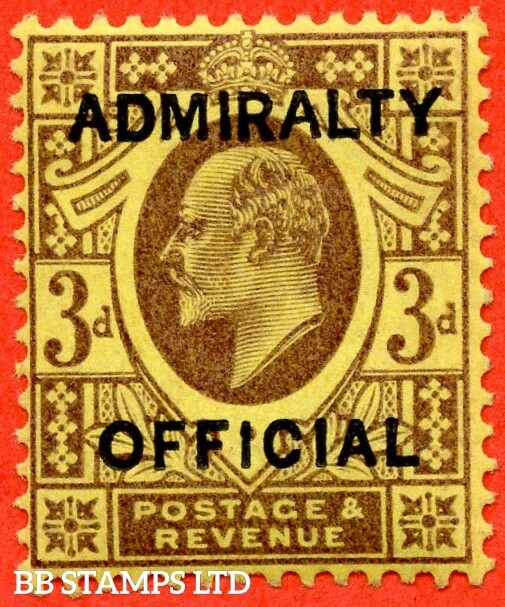 Admiralty Official Type I. 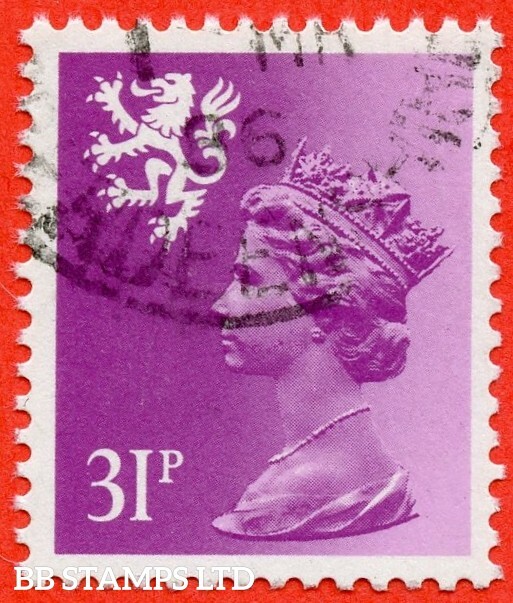 A very fine UNMOUNTED MINT example of this difficult stamp. SG. 276 wi. Variety M17 (1) a. 2½d Deep Bright Blue. INVERTED WATERMARK. 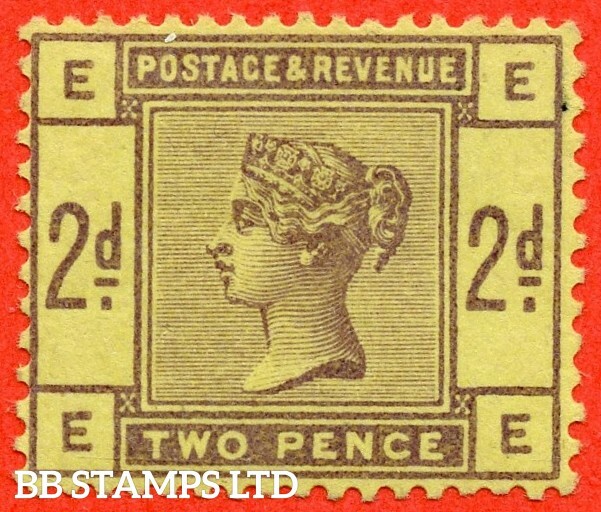 A fine lightly mounted mint example of this RARE Edwardian watermark variety. Complete with RPS certificate. SG. 13. E1 (1) g. ES10 f . " DJ ". 2d Pale Blue. Plate 3. 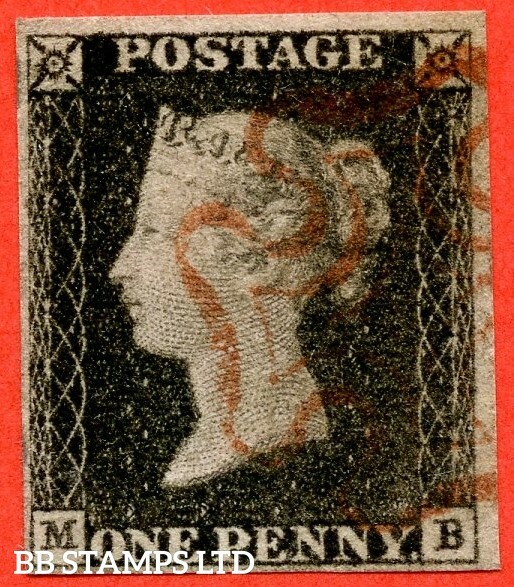 A superb lightly mounted mint example with the listed " Vertical guide line NE and SE squares " variety. SG. 440 & 441 variety N48a - N51a. 1d & 1½d Large Format. 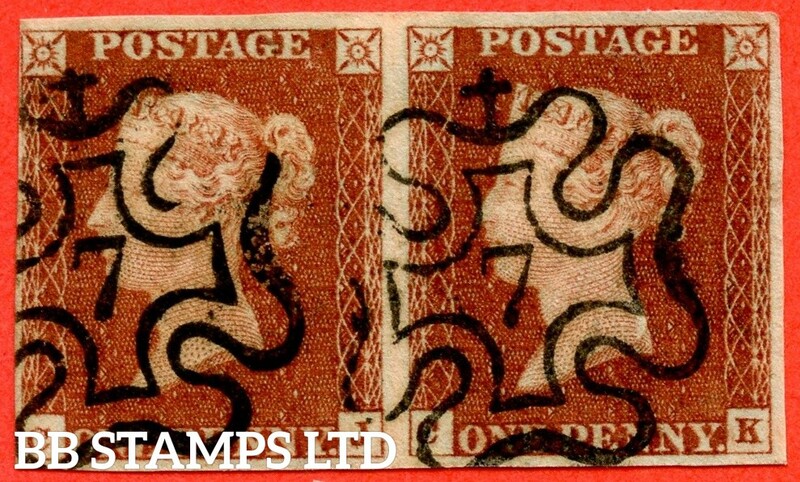 A SUPERB UNMOUNTED MINT pair with INVERTED WATERMARK. SG. 2 c. A1 (2) h. AS56. " MG ". 1d black. Plate 9. 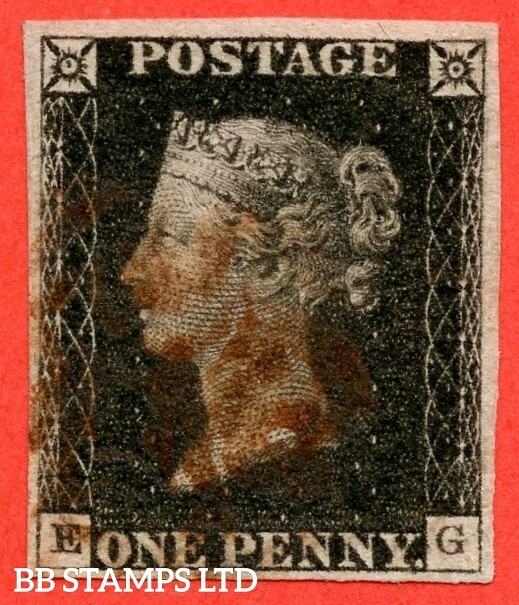 A good used example cancelled by a black maltese cross with the listed variety " Vertical guide lines SE & SE squares ". Also " ' O ' flaw " variety. SG. 2. A1 (2). AS20. " RH ". 1d black. Plate 3. 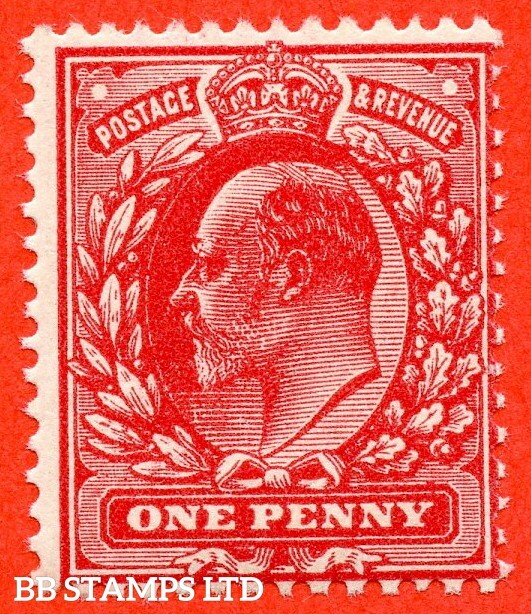 A fine used example cancelled by a red maltese cross. SG. 2. A1 (2). AS2. " KB ". 1d grey-black. Plate 1a. 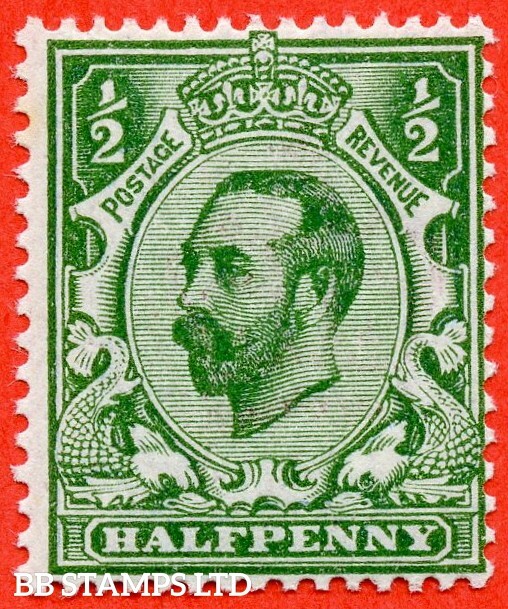 A good used example cancelled with a red maltese cross. 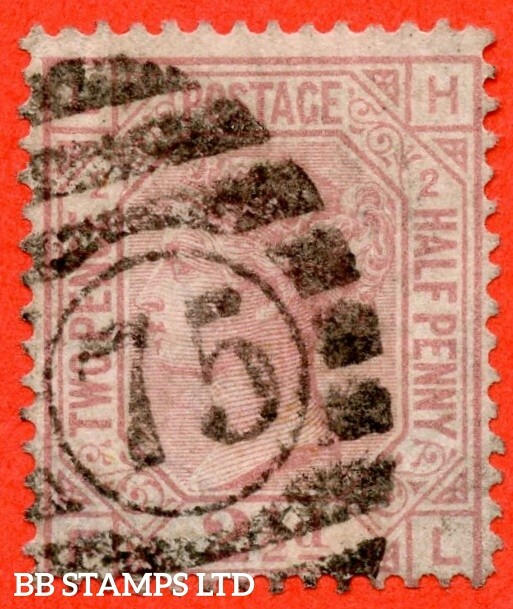 With the constant variety " Ray flaws 10 / 5 NW square ". SG. 438. NCom9. 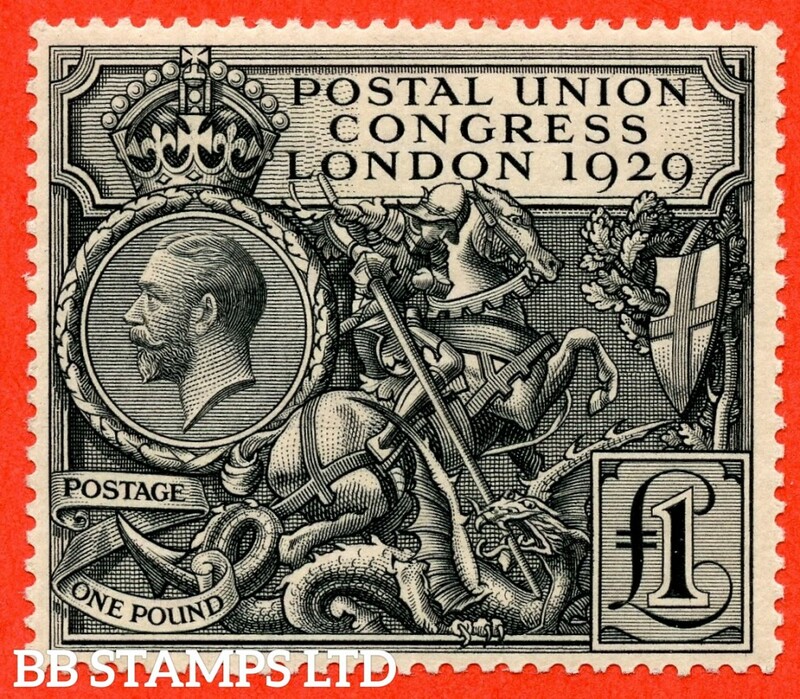 £1.00 Postal Union Congress. 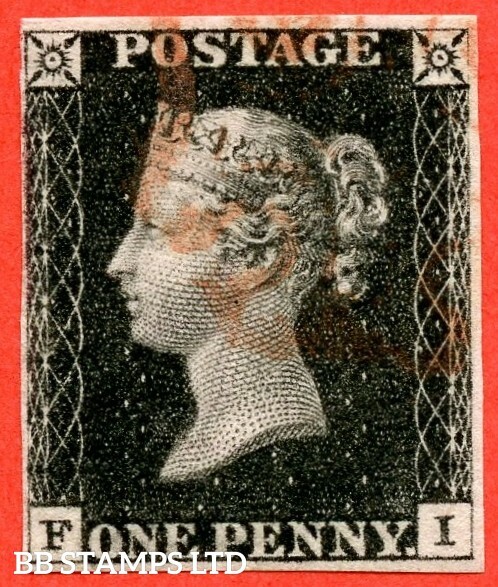 A fine UNMOUNTED MINT example. SG. 266. M55. £1.00 Dull blue - green. 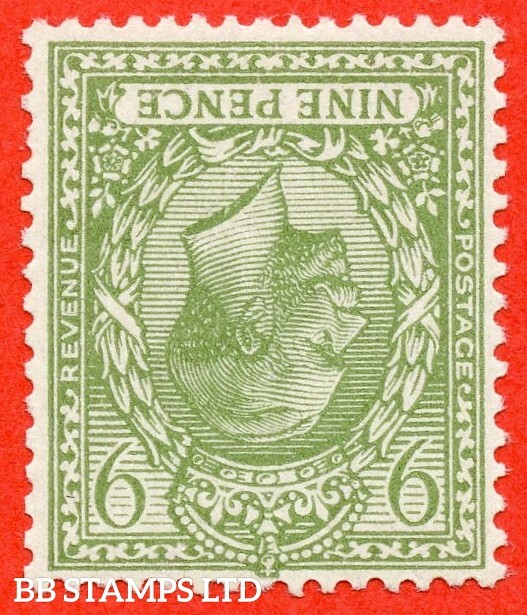 An average mint example. SG. 015. L16. 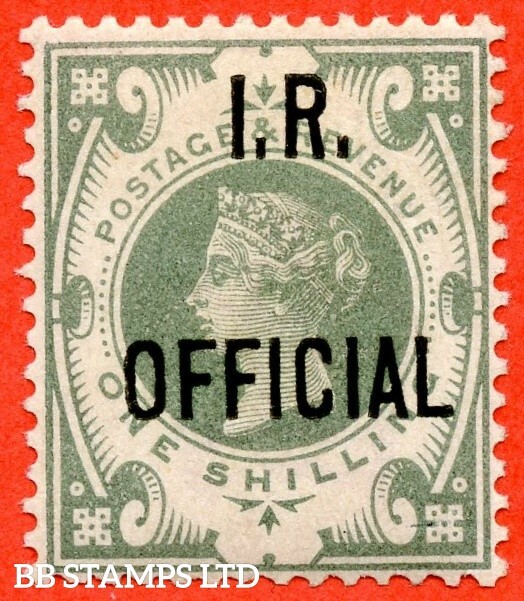 1/- Dull Green " I.R. Official ". A very fine UNMOUNTED MINT example of this very difficult Official complete with RPS certificate.